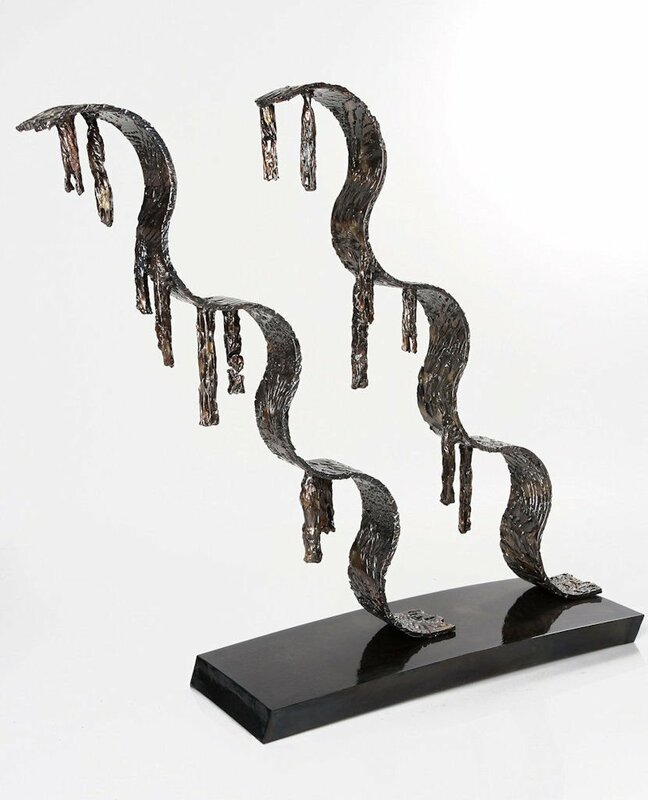 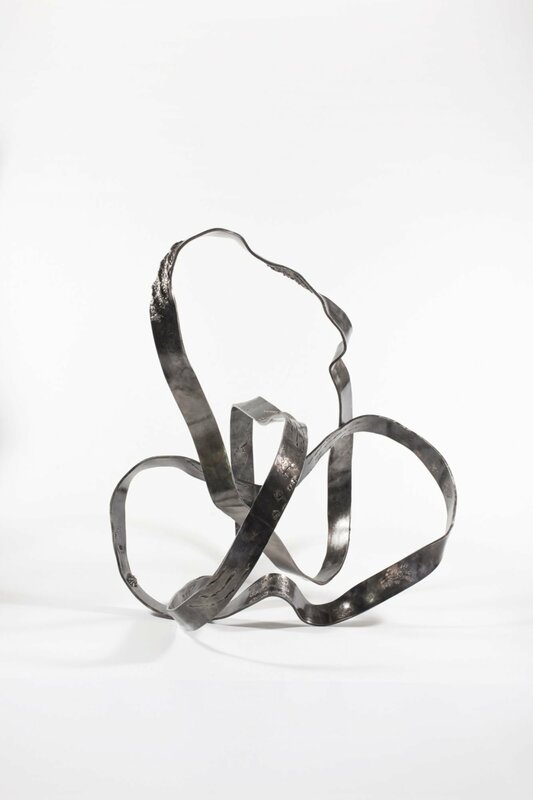 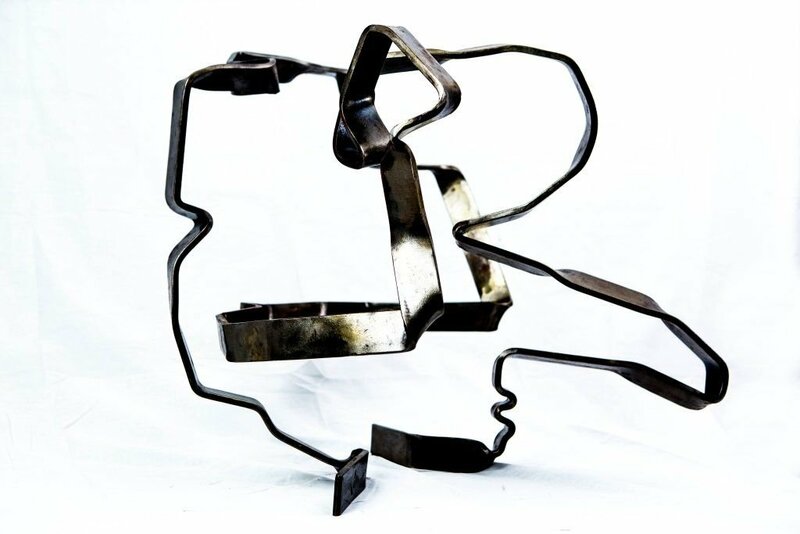 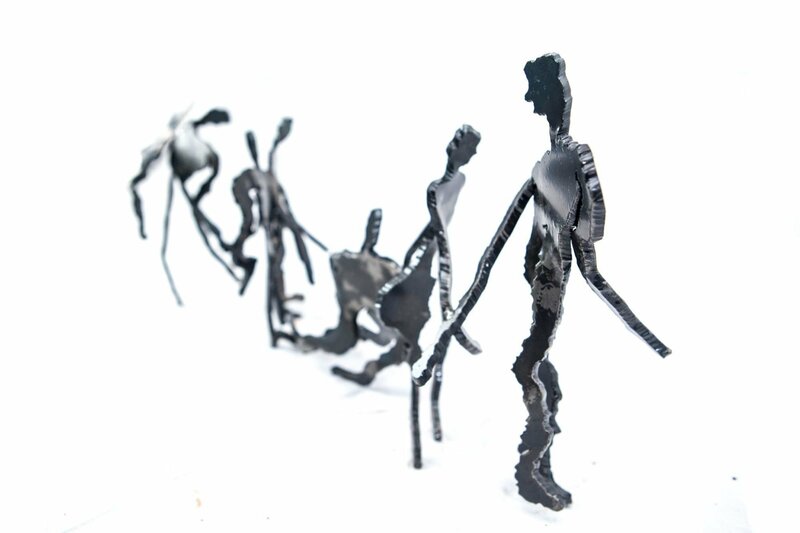 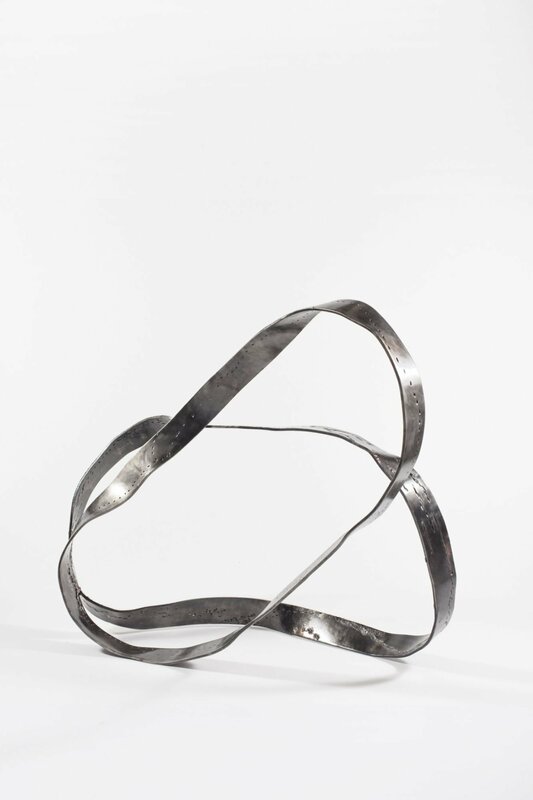 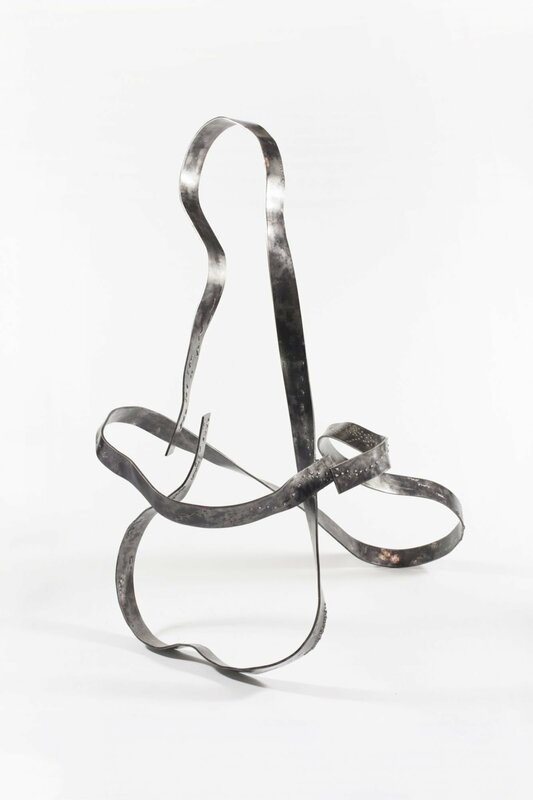 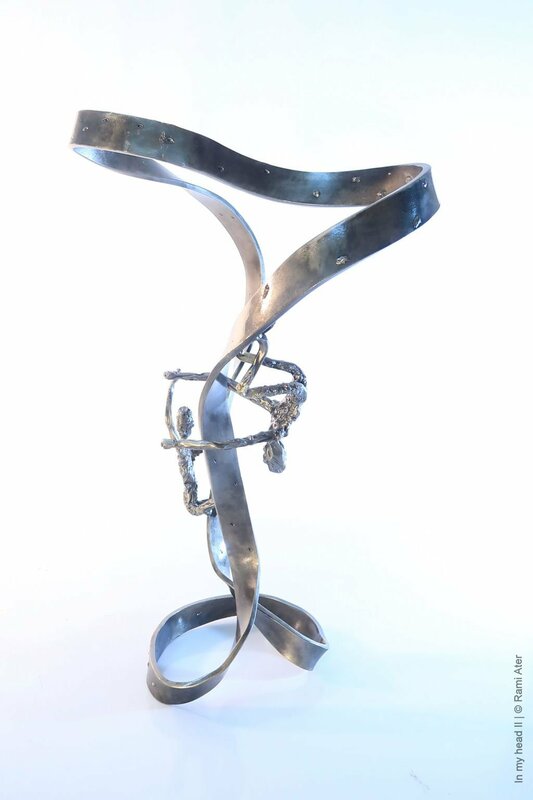 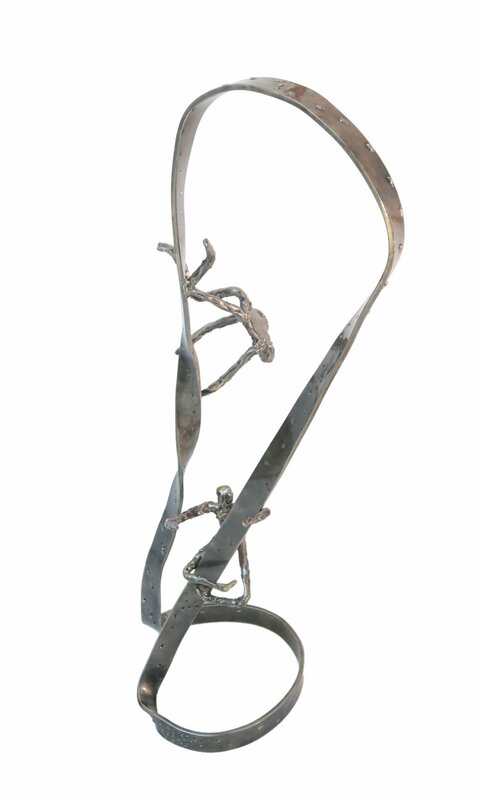 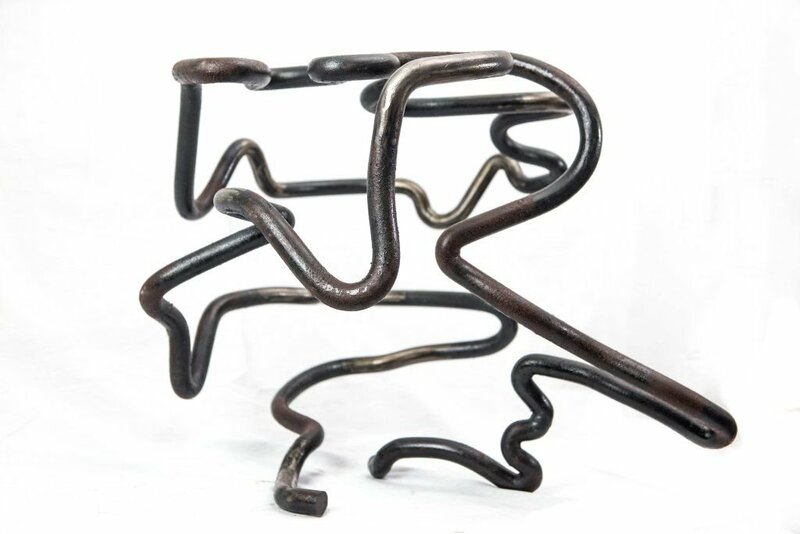 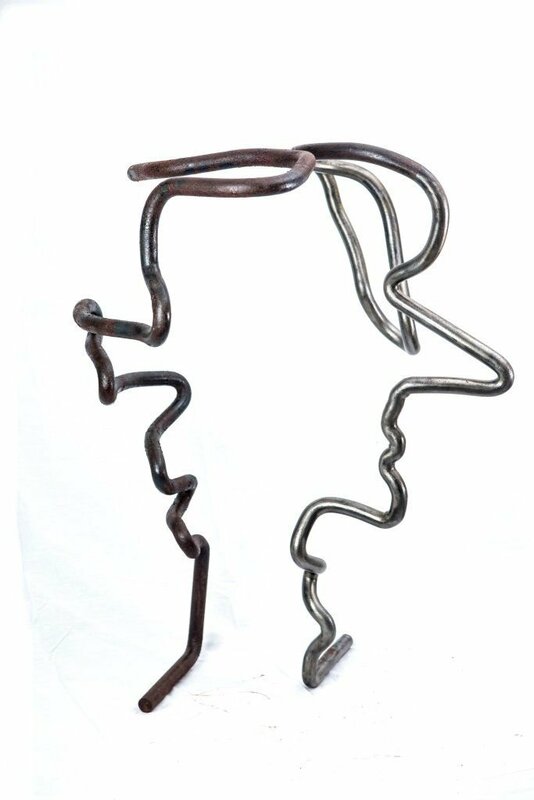 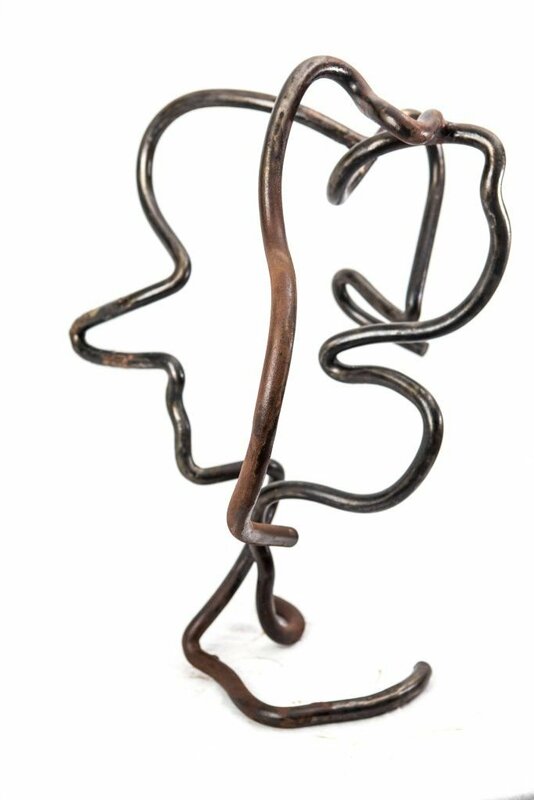 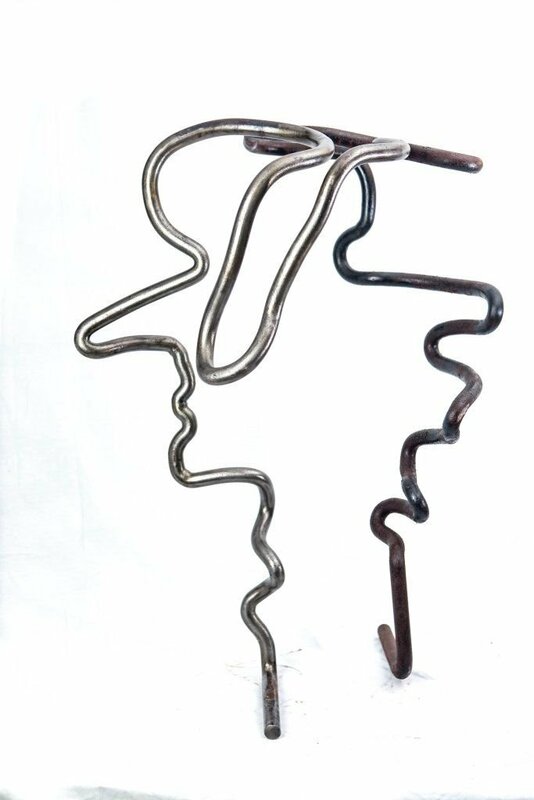 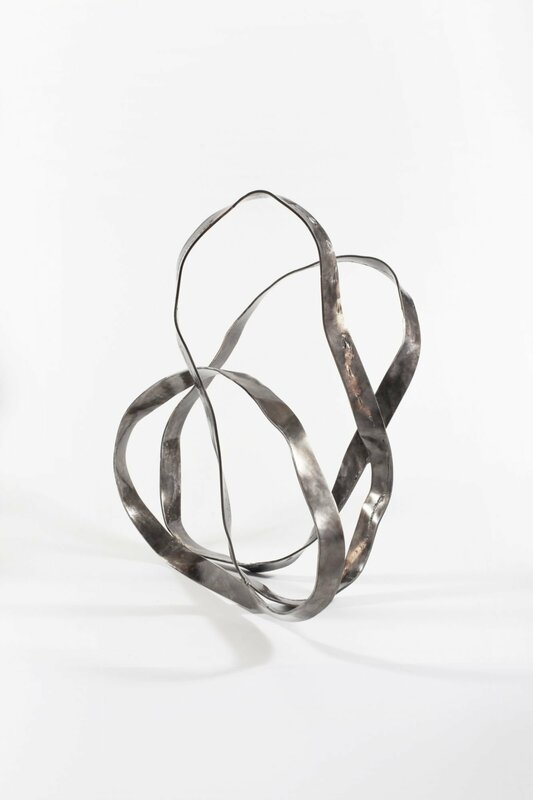 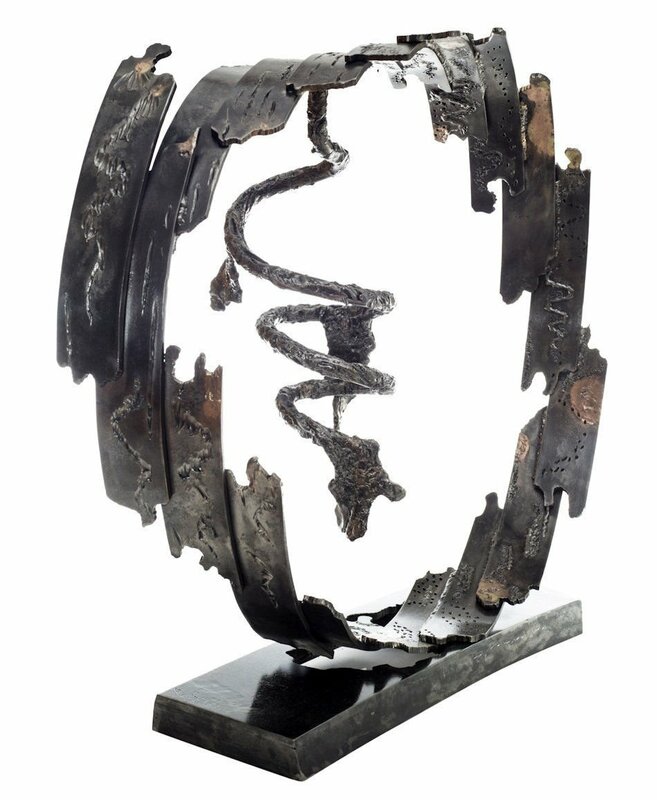 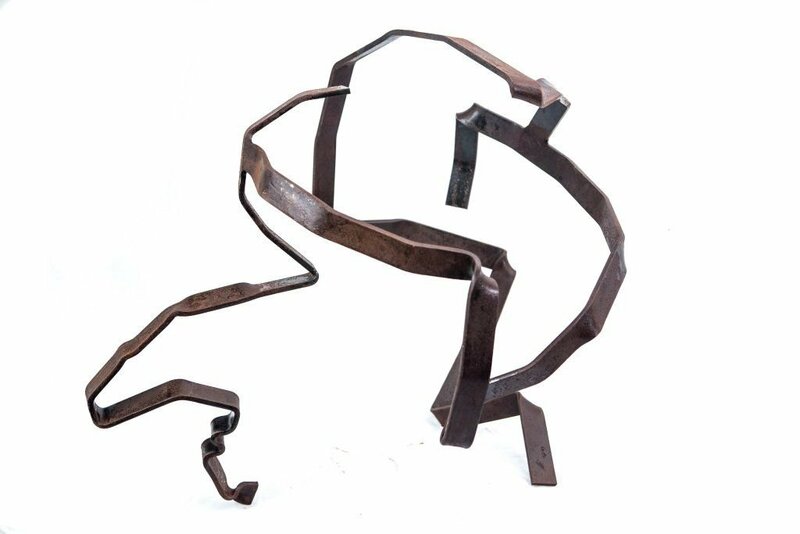 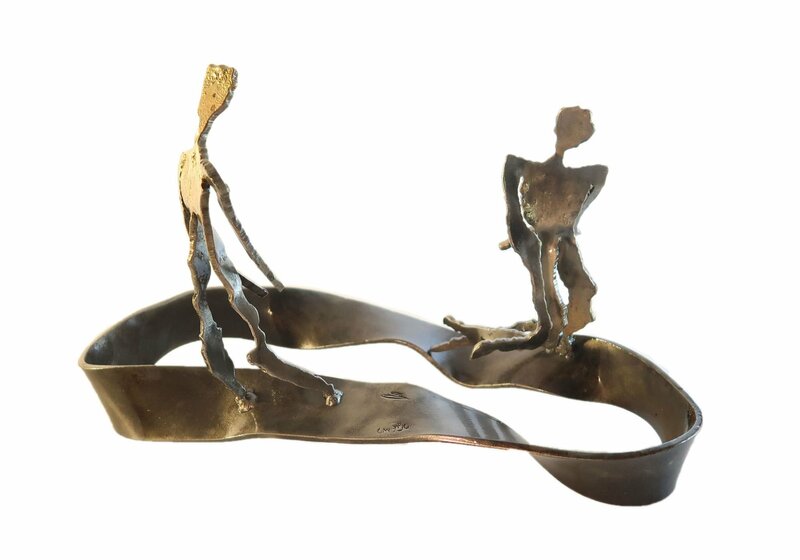 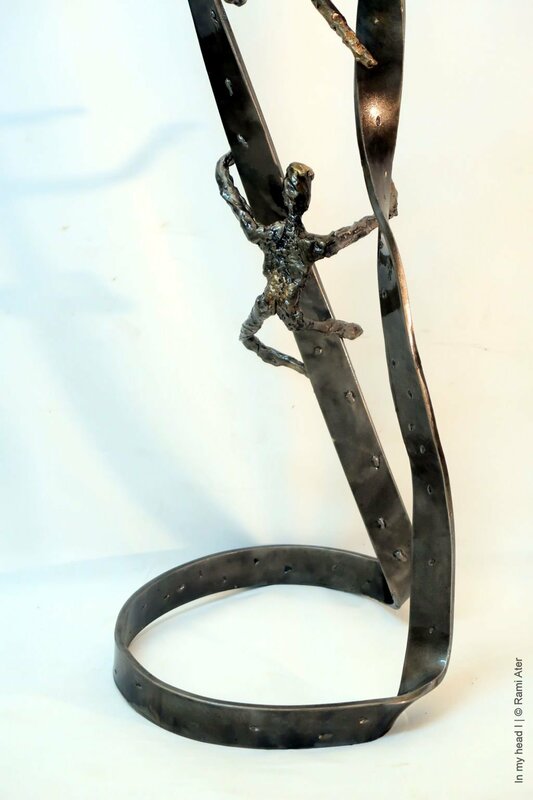 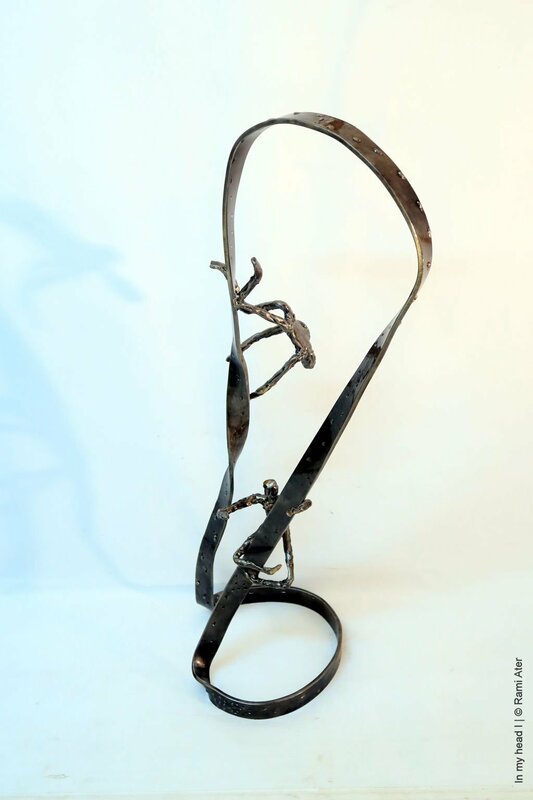 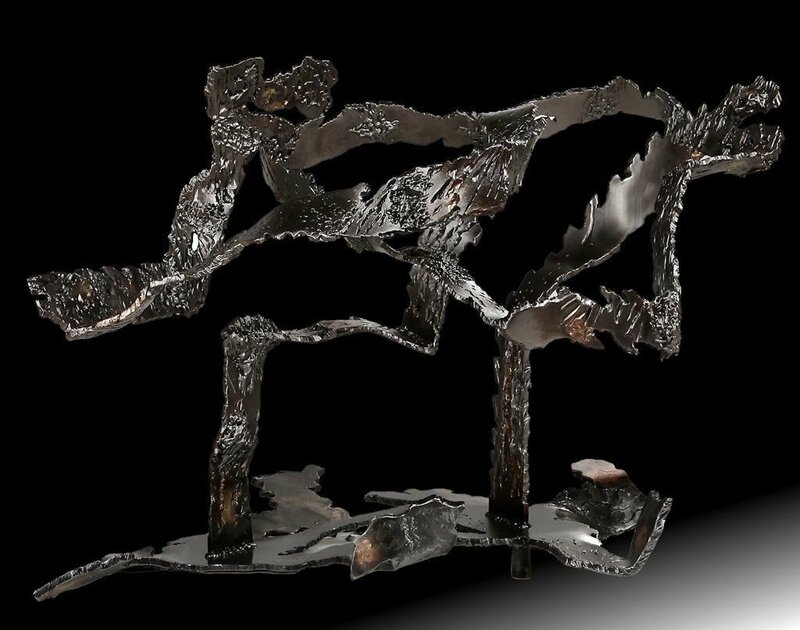 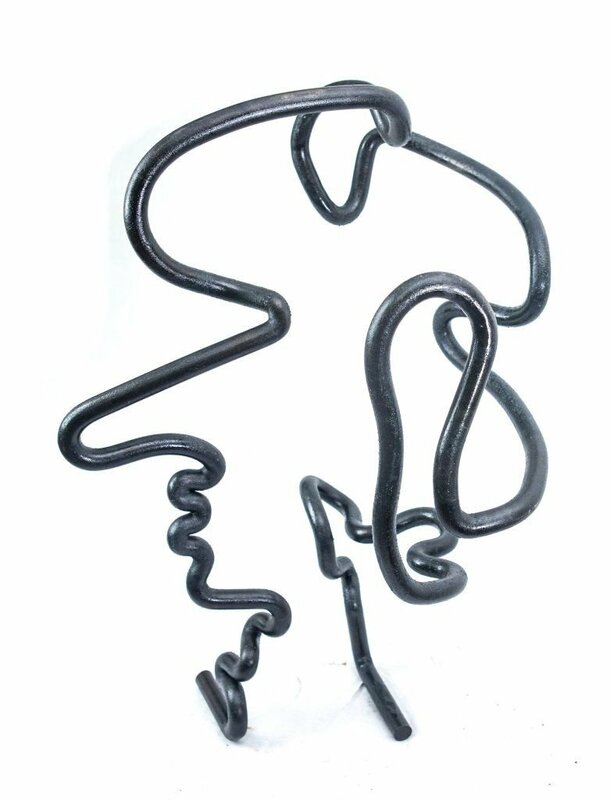 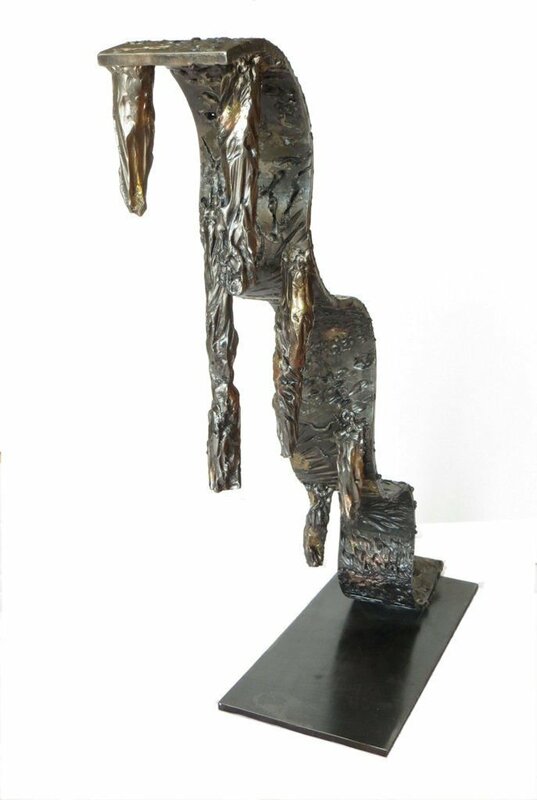 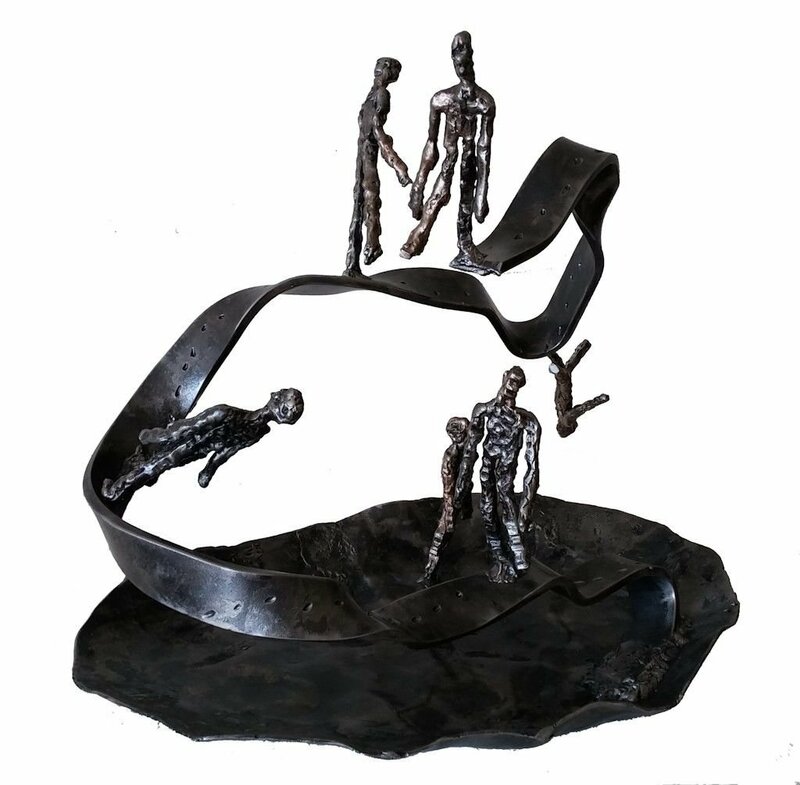 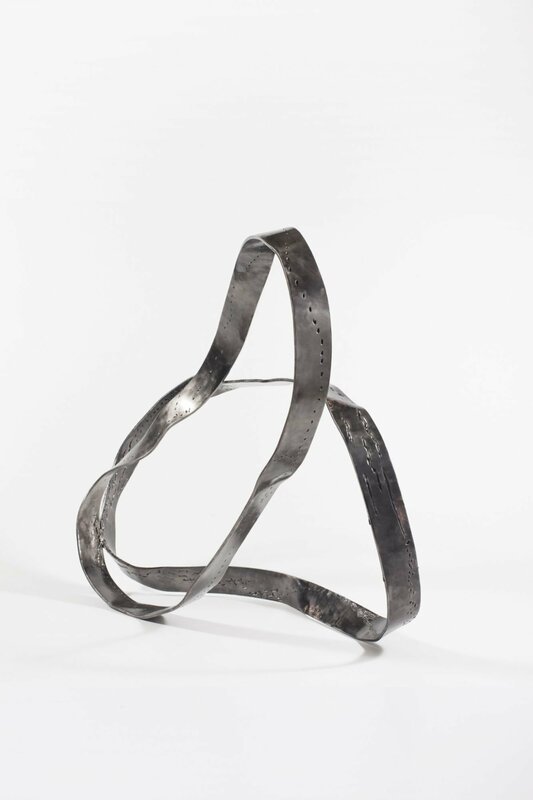 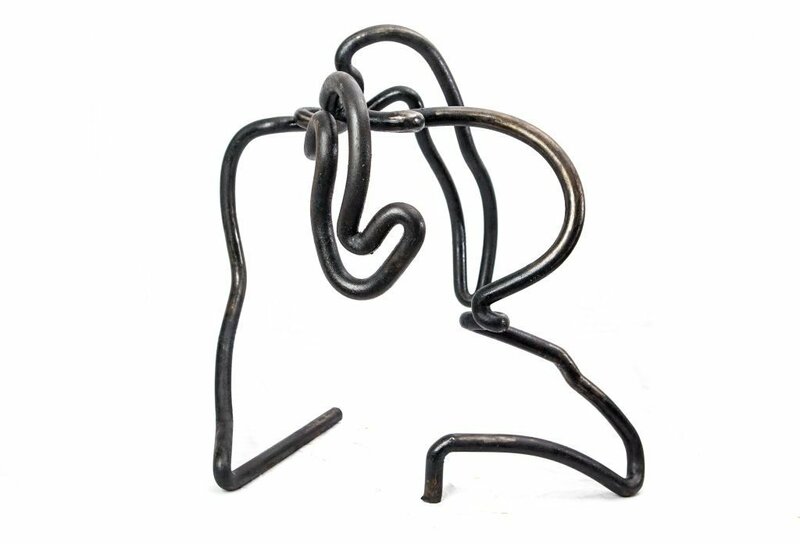 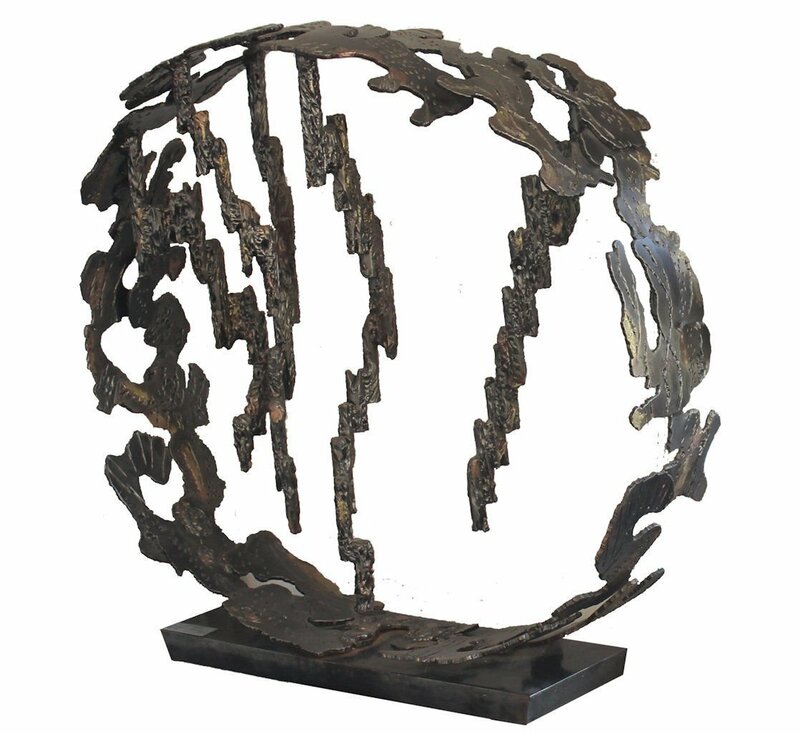 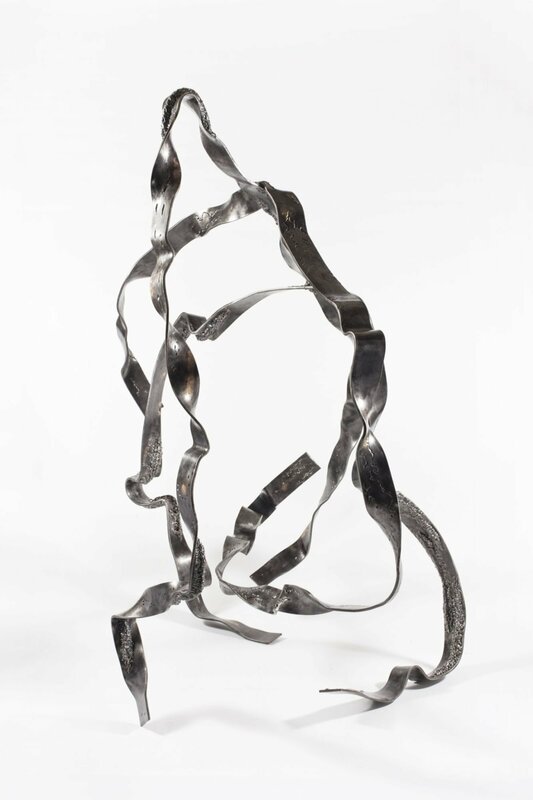 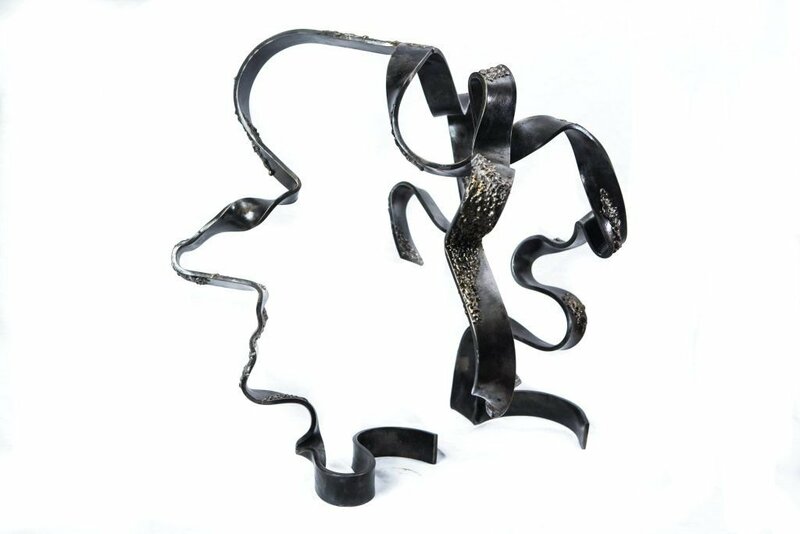 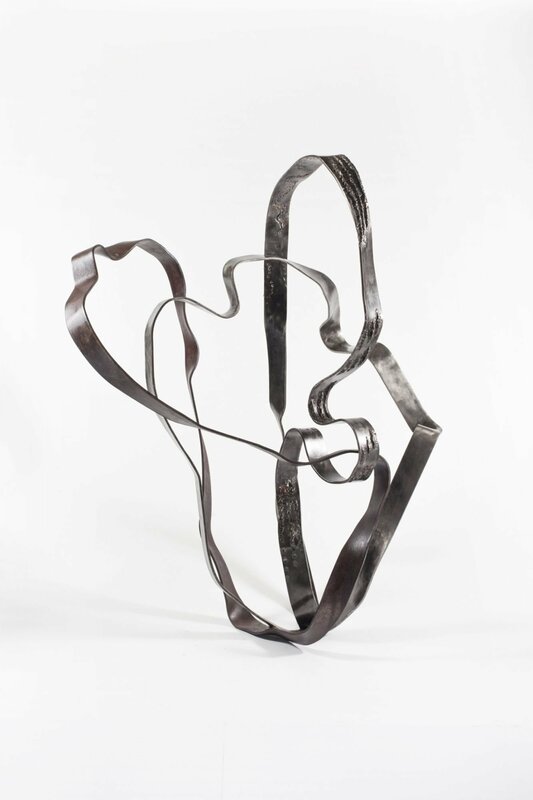 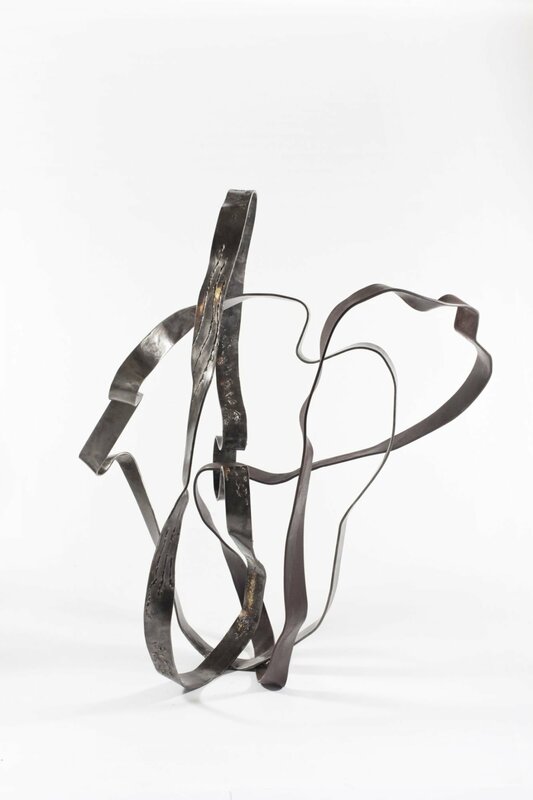 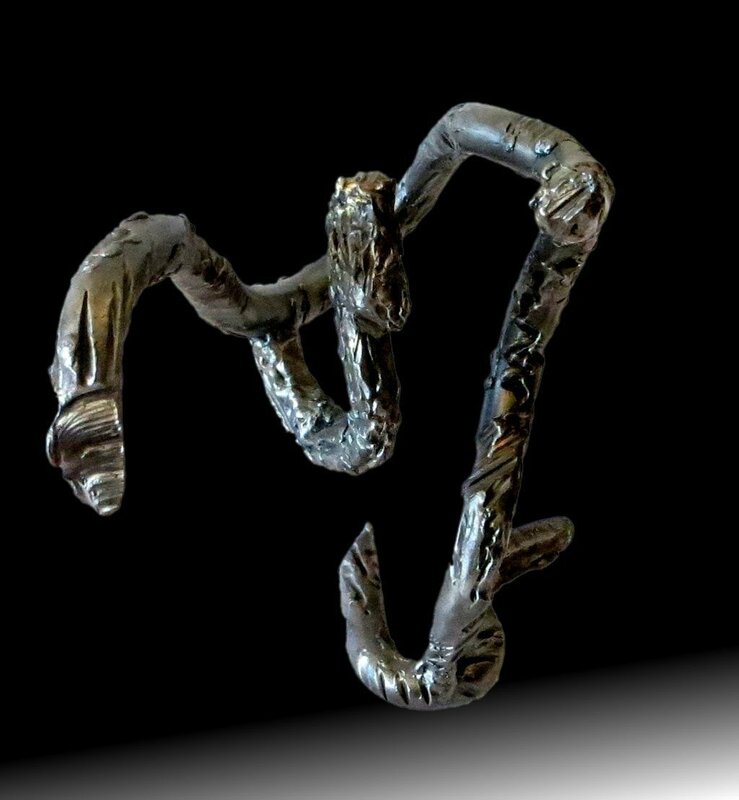 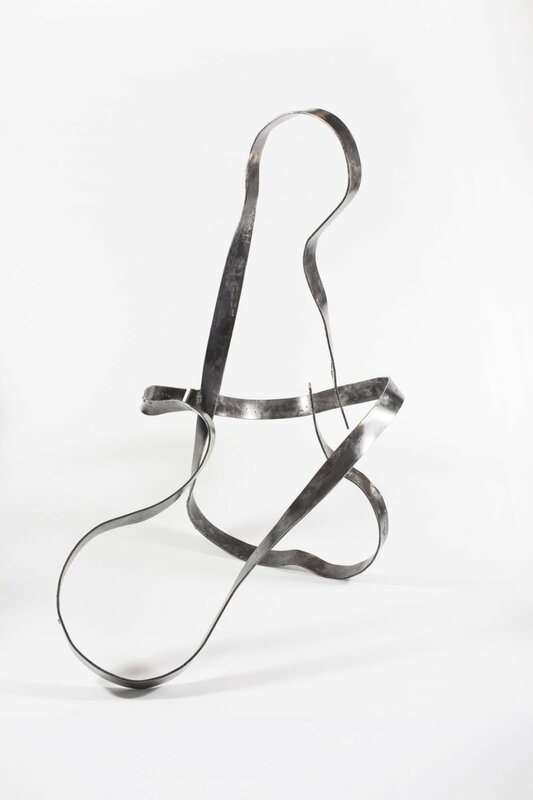 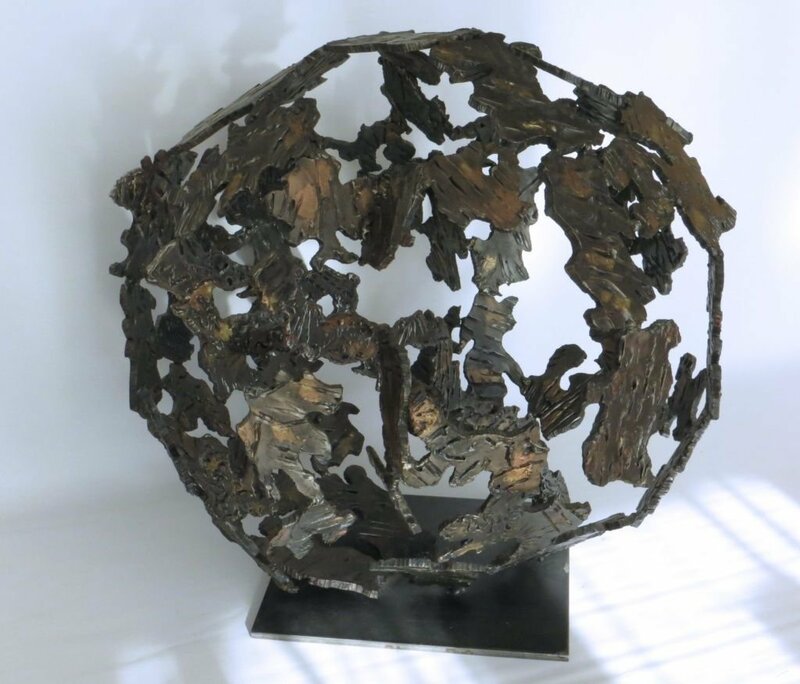 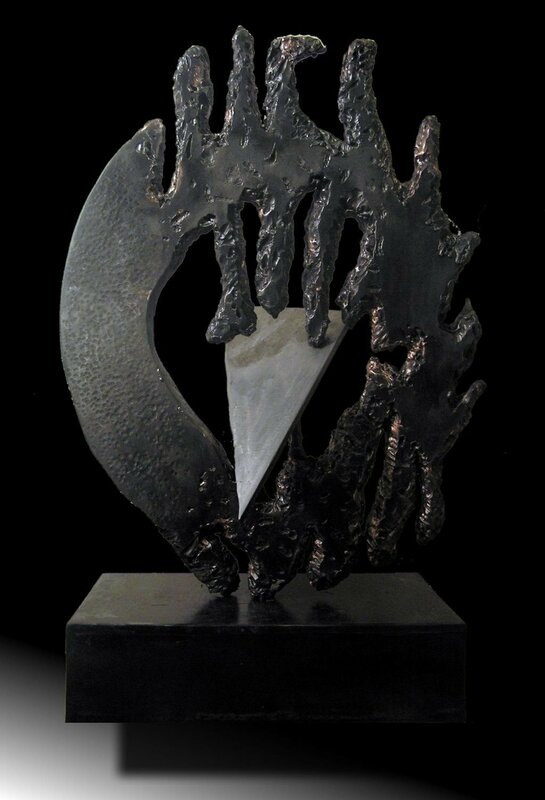 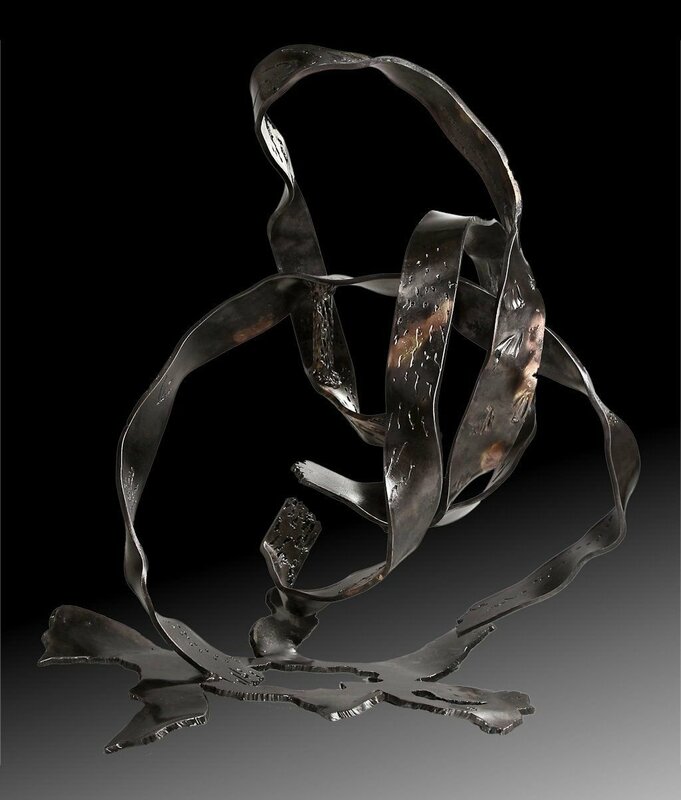 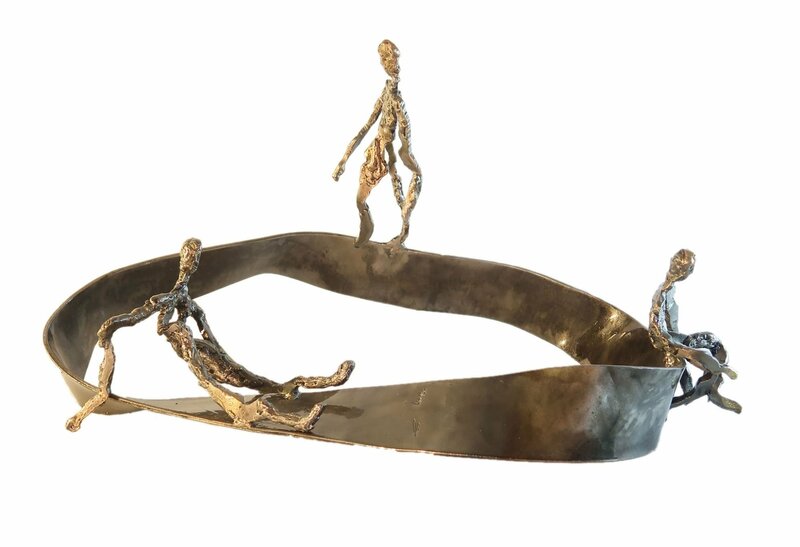 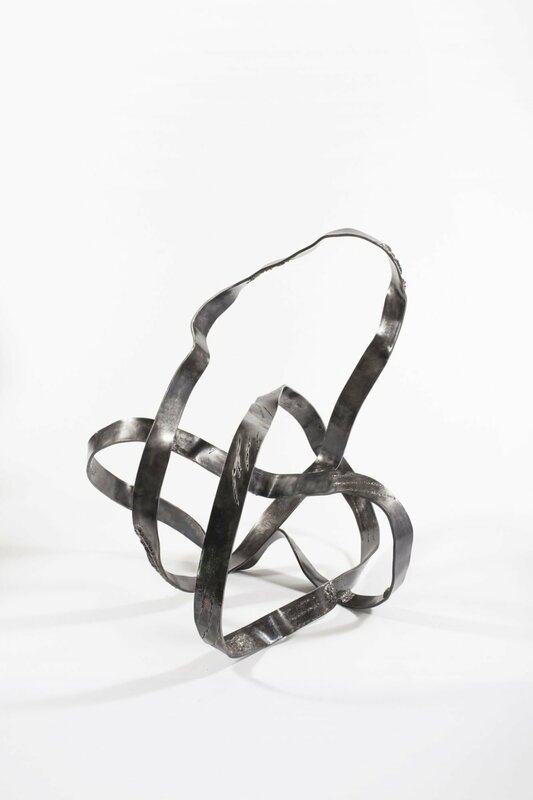 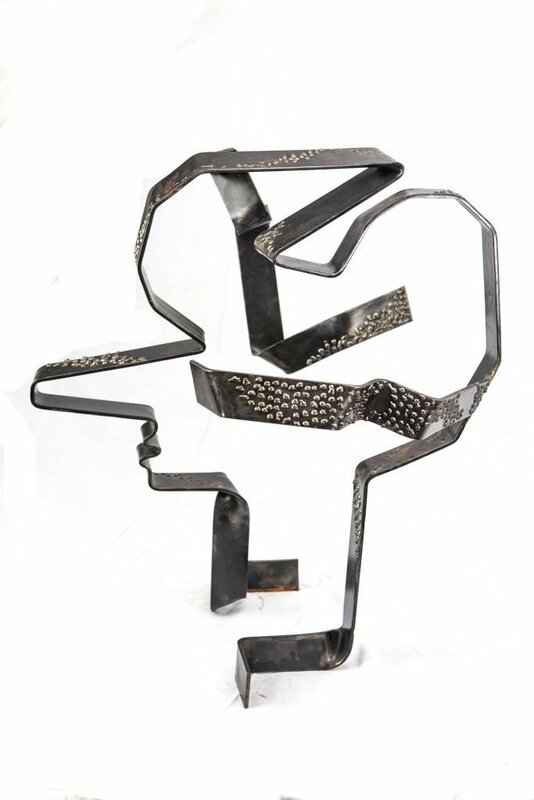 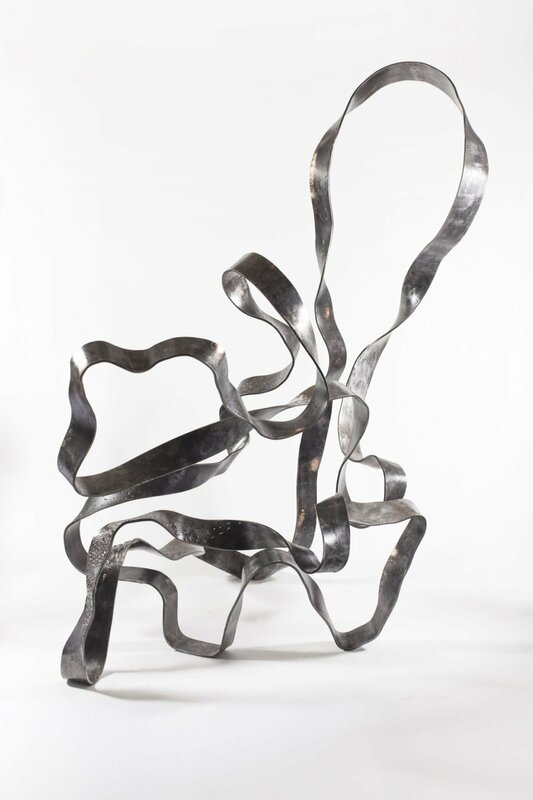 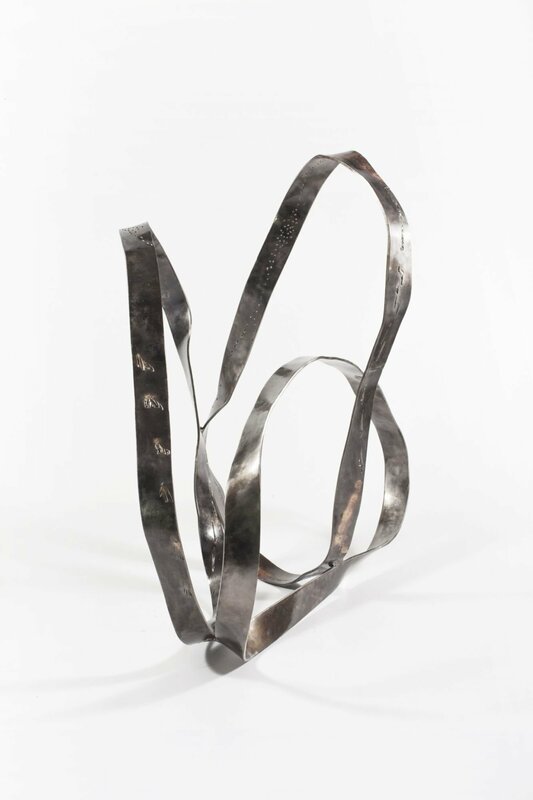 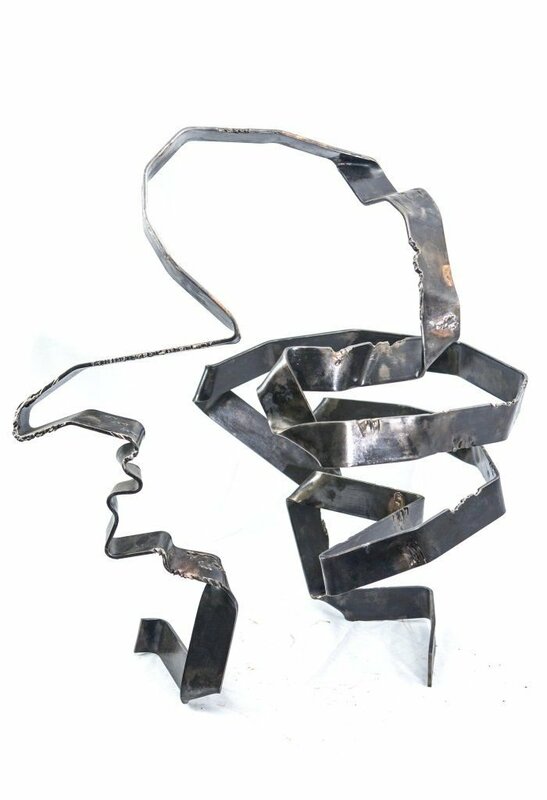 Rami Ater, born 1960, Israeli artist, sculptor, focuses on abstract and symbolistic iron sculpting. 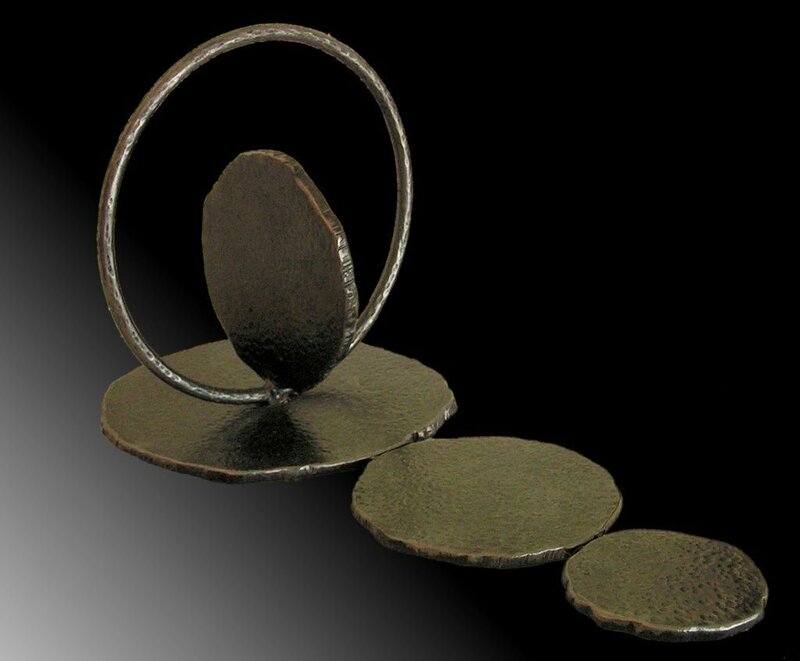 Ater sculpts in iron, often with touches of brass. 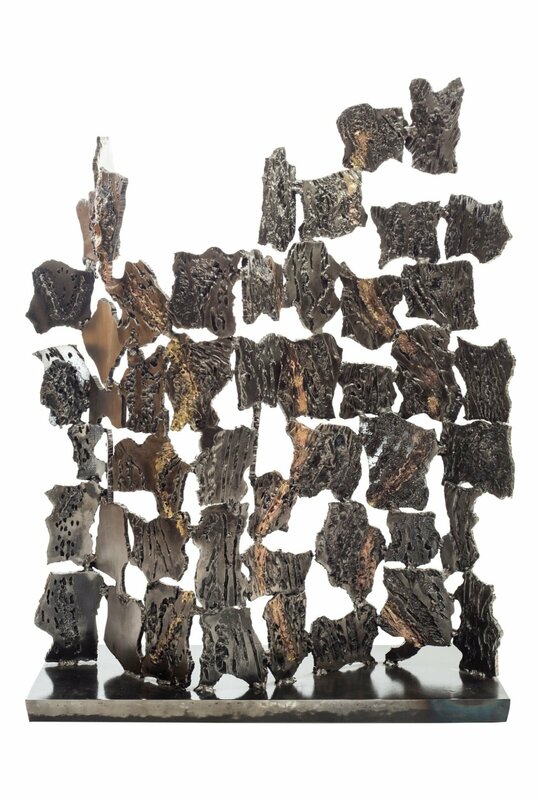 By applying techniques of his own development of heat and merging of substances, he is shaping texture and color, adding layers to his figurative work. 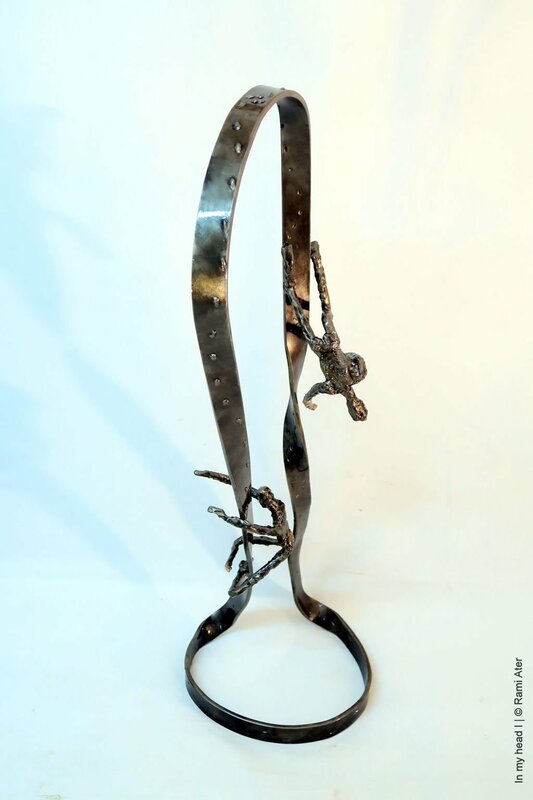 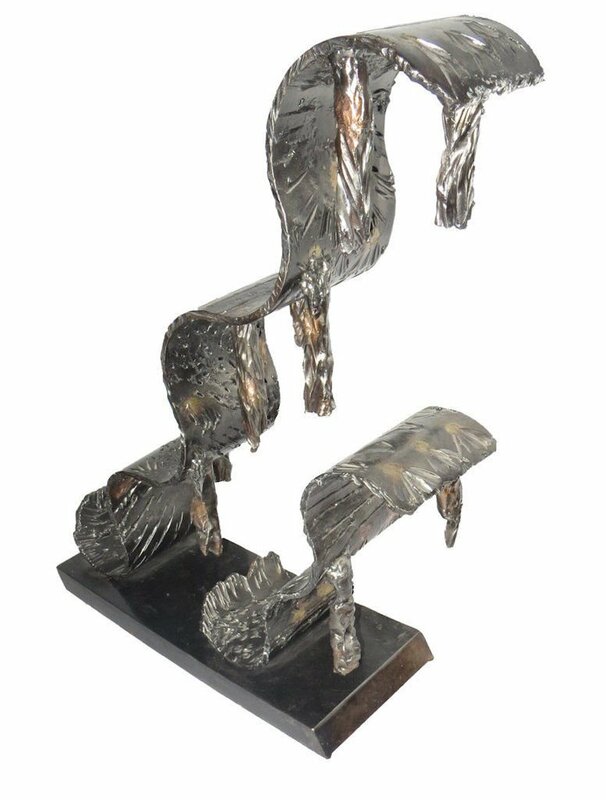 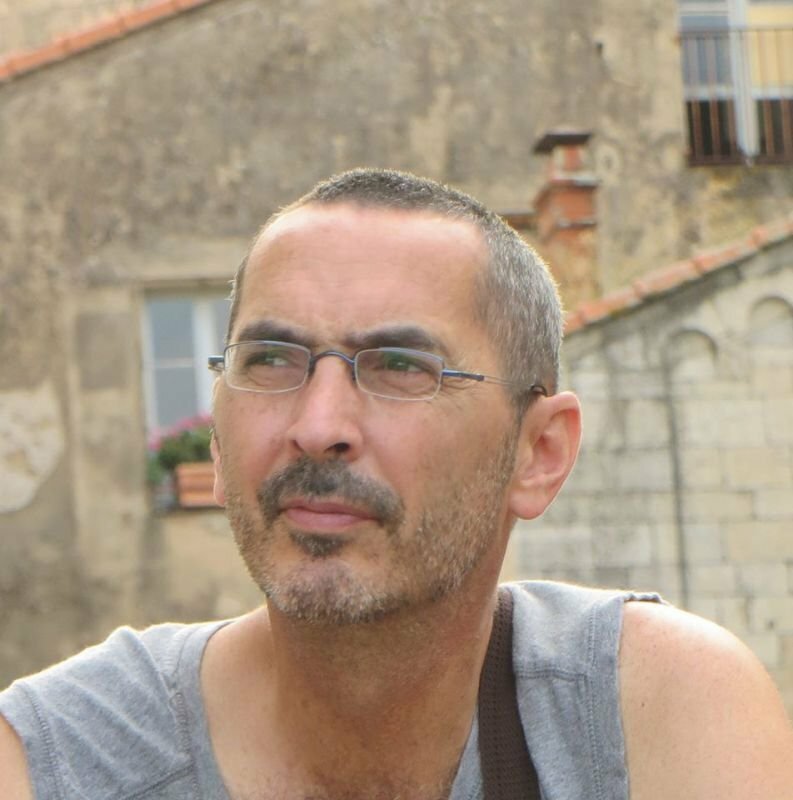 Ater specialized in iron sculpture in Rami Rudich's workshop in Givaataim, where he continues to work today. 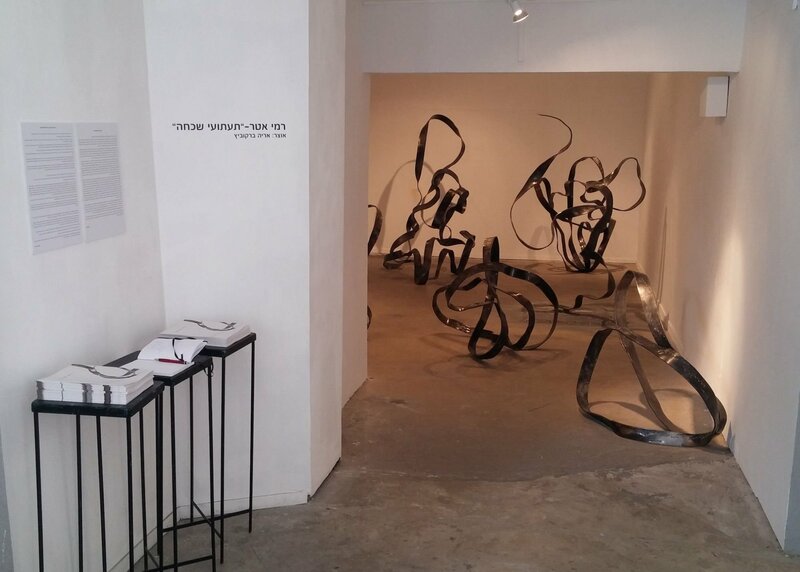 His pieces and exhibitions were displayed in various spaces; TLV artists house, Beit Gabriel in Tzemach, Jerusalem Theater, Wolfson Museum , Tel Aviv Opera House, Haifa Artists house, Petach Tikva's municipal gallery, Givaataim's municipal gallery, Gateway Art Center NYC, New York, Praterinsel Munich, Paris and more. 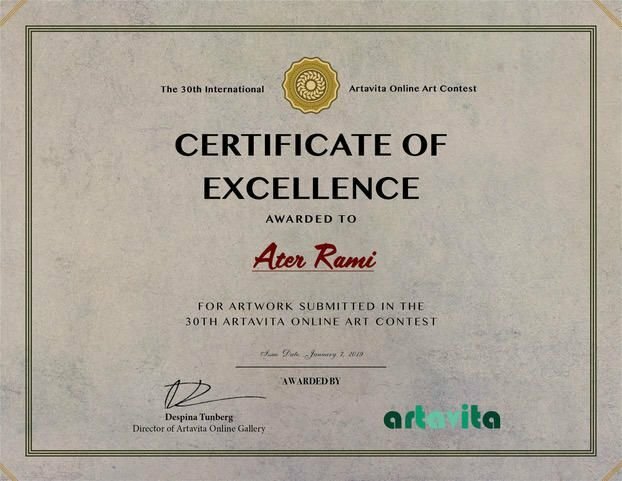 Ater is an expressive artist and any interpretation of his work must be based on this premise. 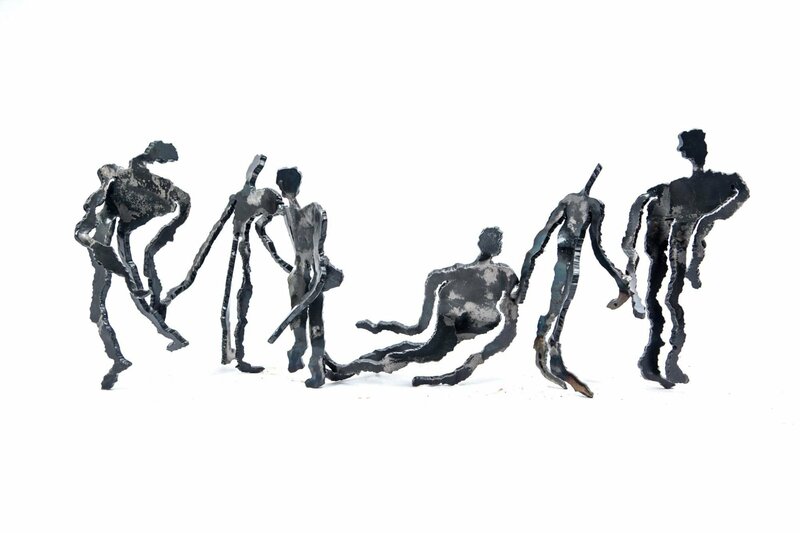 His life, the people around him - those still here and those gone – effect the essence of his art and outline his statues. 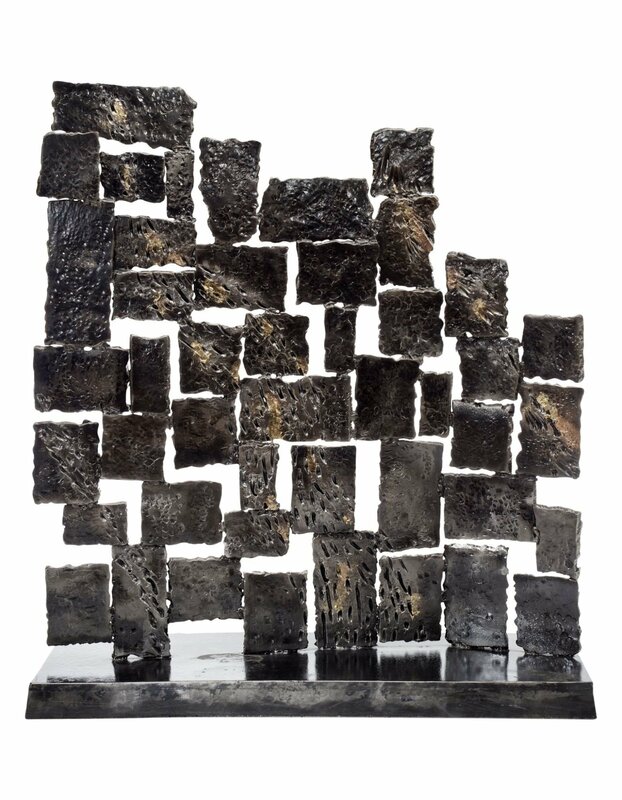 Sometimes the absent in them shapes the existing, and the full mass defines and even creates the environment enveloping the piece. 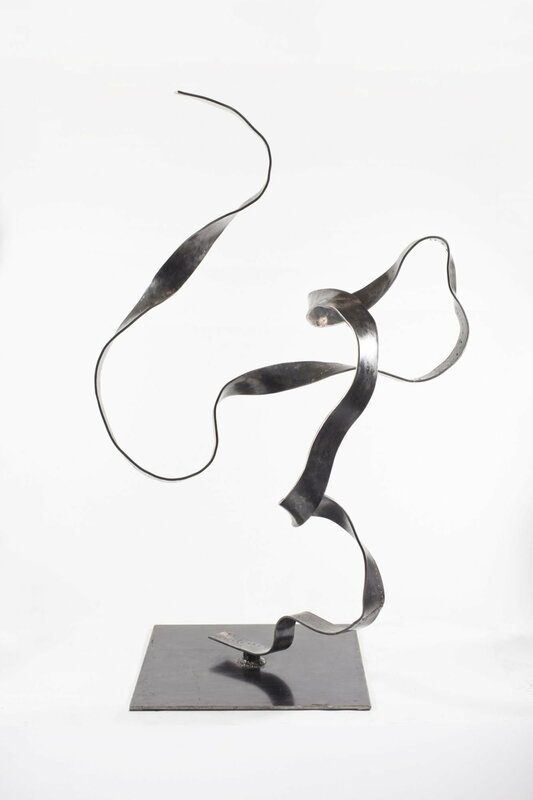 Using movement is one of Ater's signature construction mediums, as well as using "space". 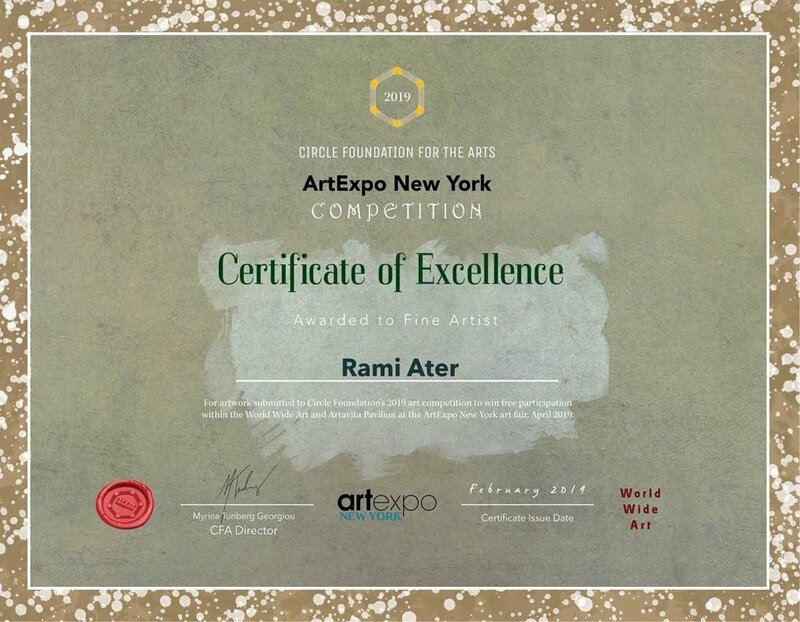 Ater creates a language with unclear boundaries, inviting the spectator to interpret the dialogue between the visible real material to the empty space forming in it. 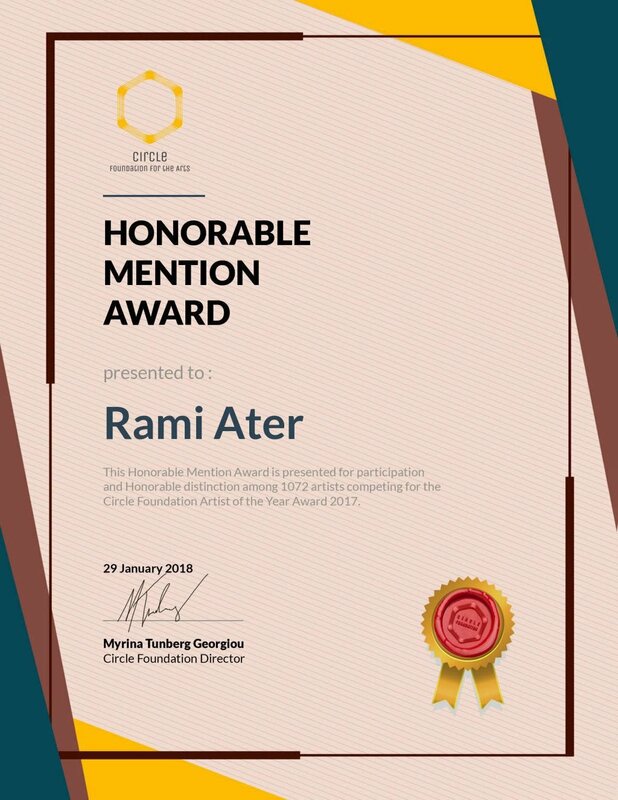 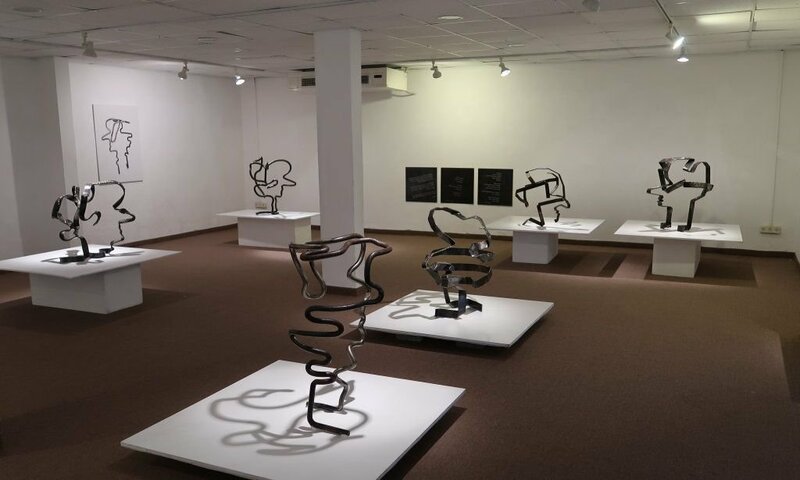 Ater's constructive creations are reference of the Realistic Manifeso of Constructivism, which defined art as realizing perception through shaping space and time. 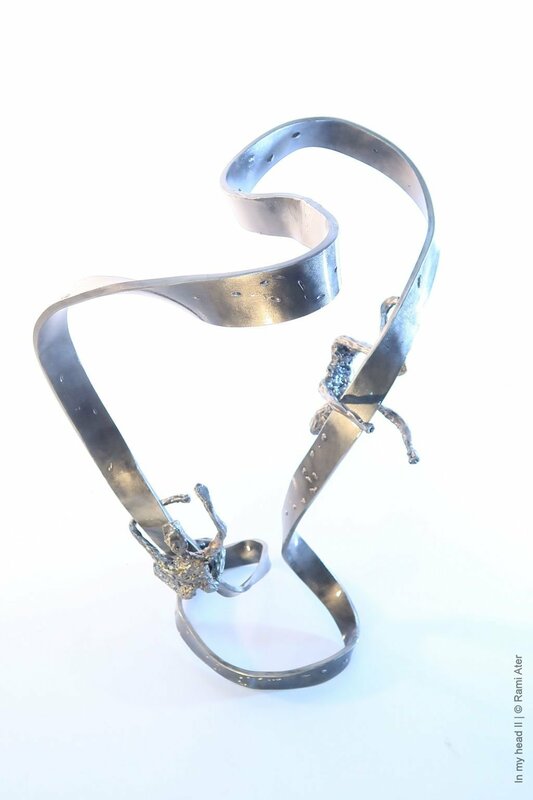 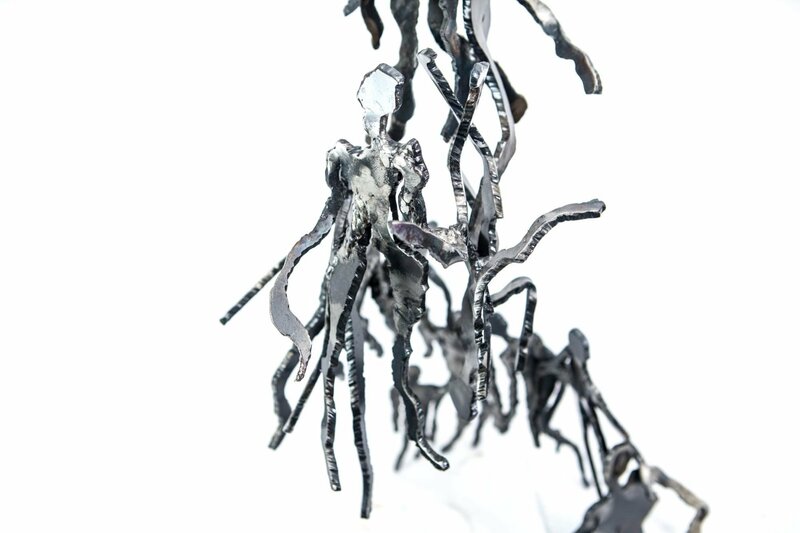 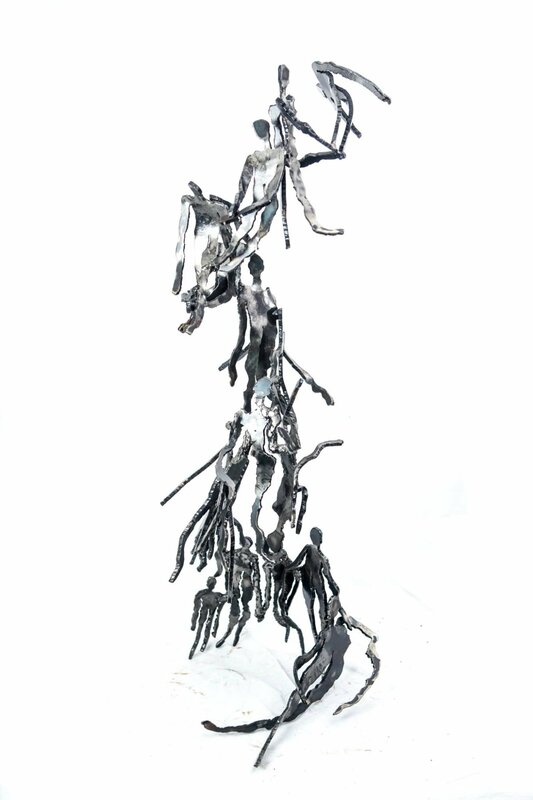 Ater's constructive sculpture, like mythical statues throughout the history of sculpture, are simply designed entities; they are objects in their own right, by their own rules, but they are charged by the confrontation between these inherent rules and the laws of movement and time, which are external to them. 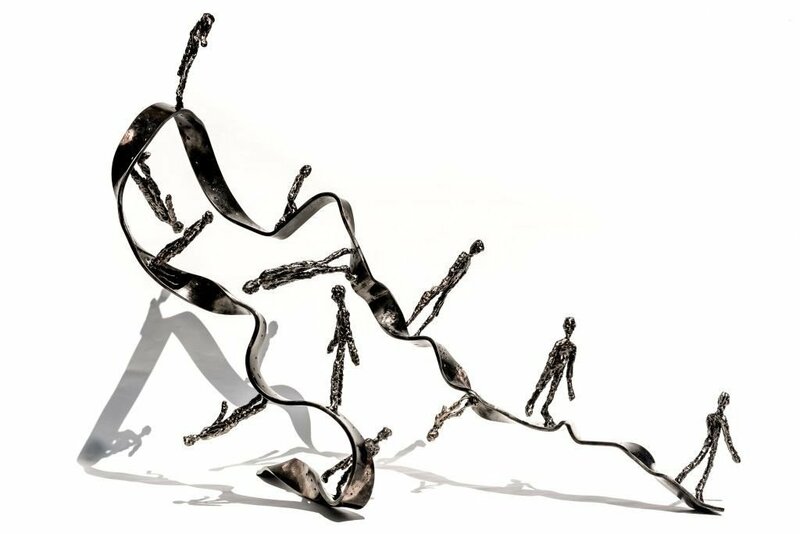 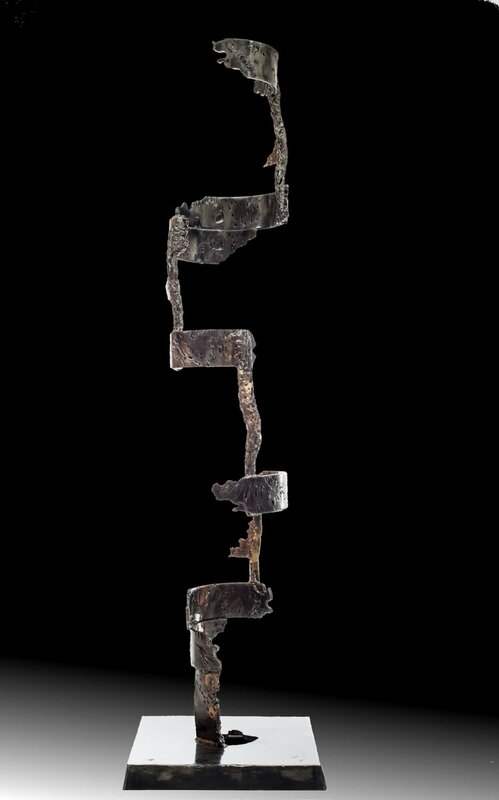 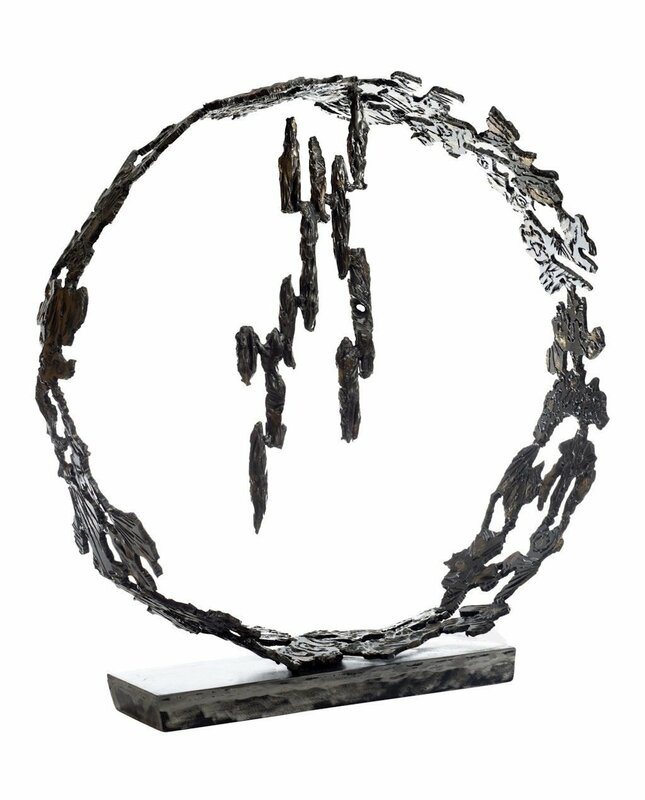 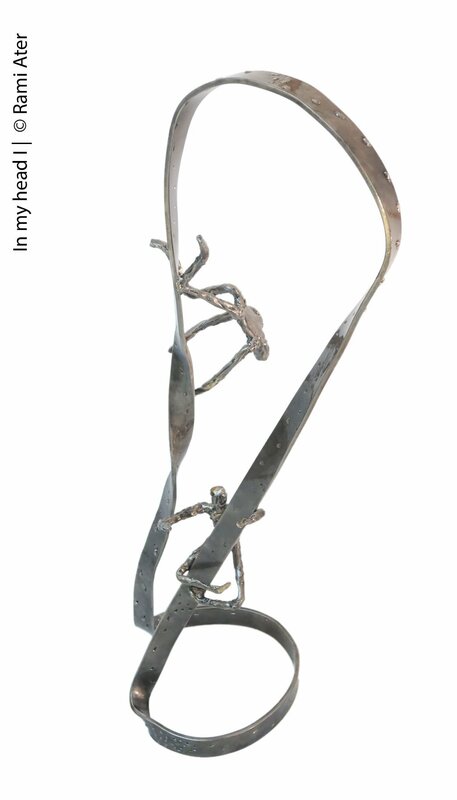 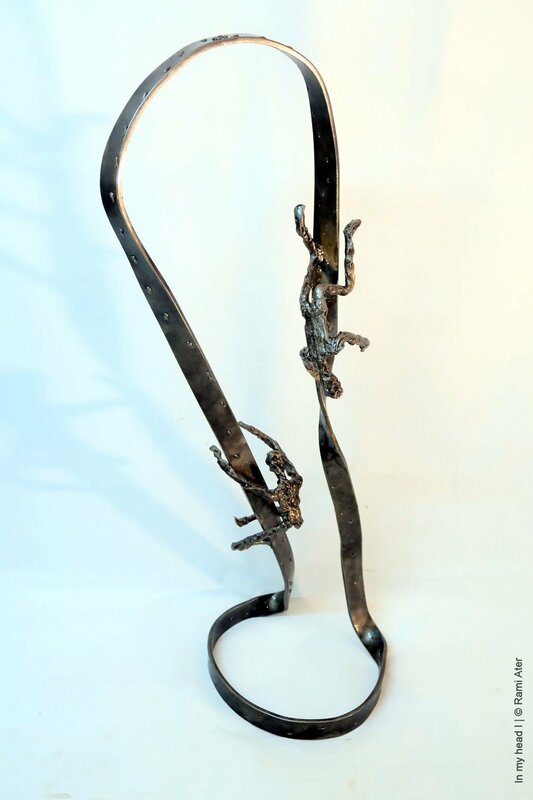 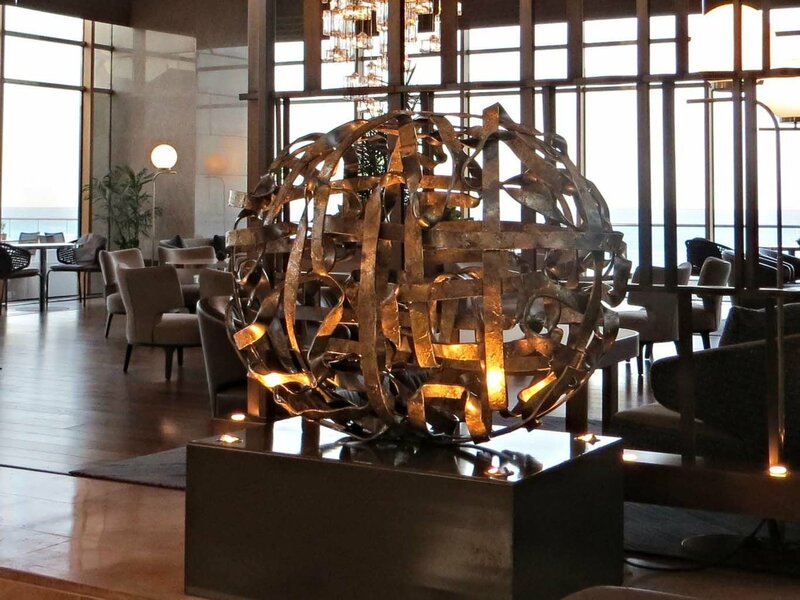 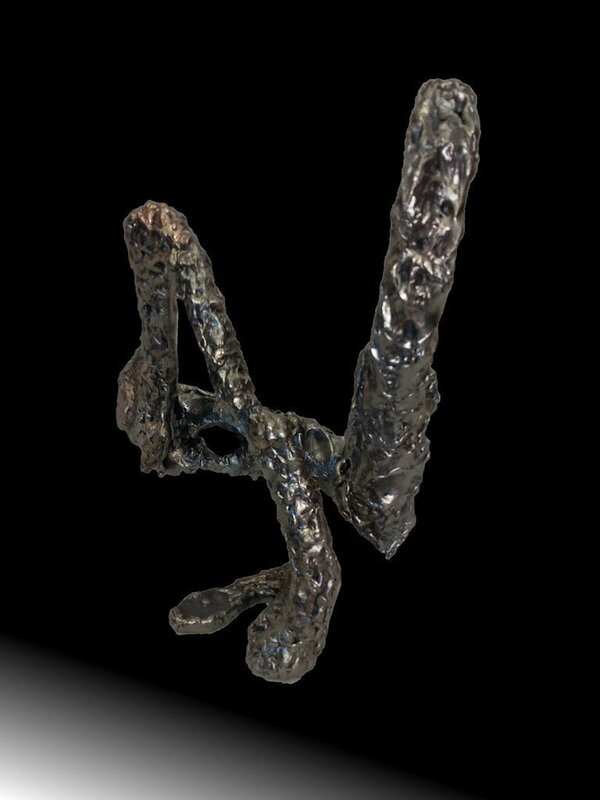 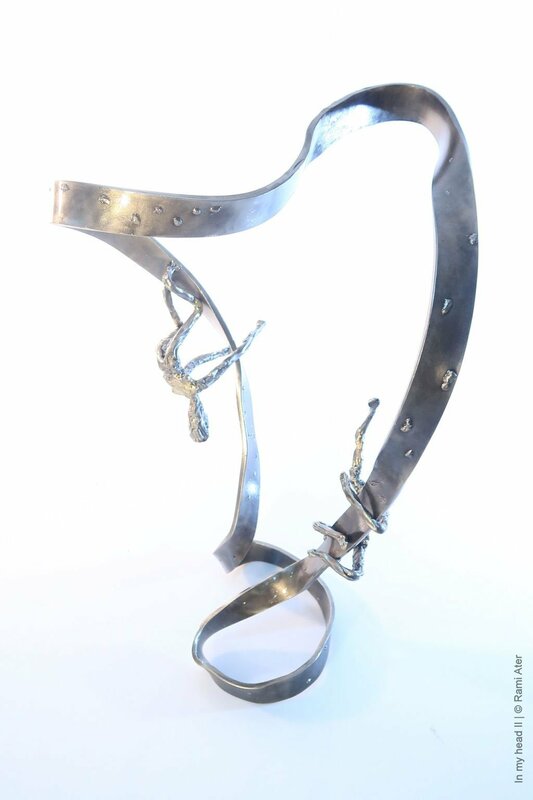 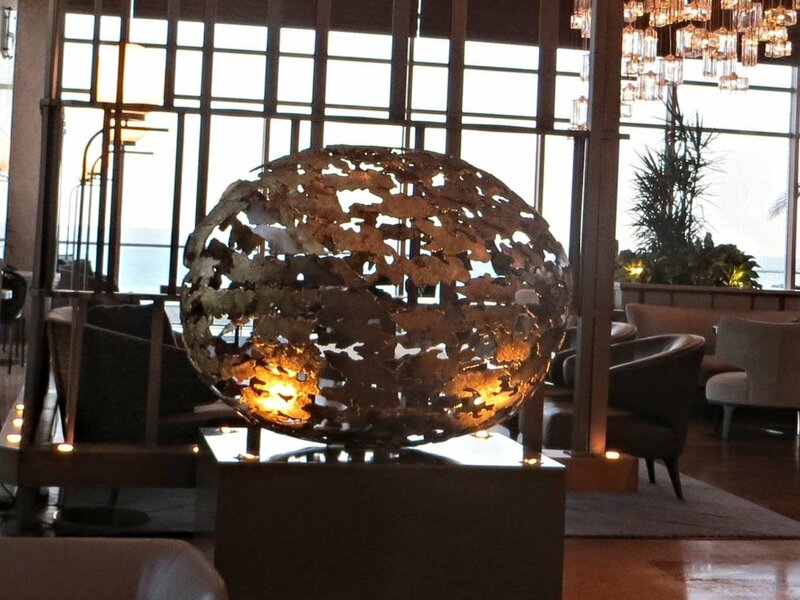 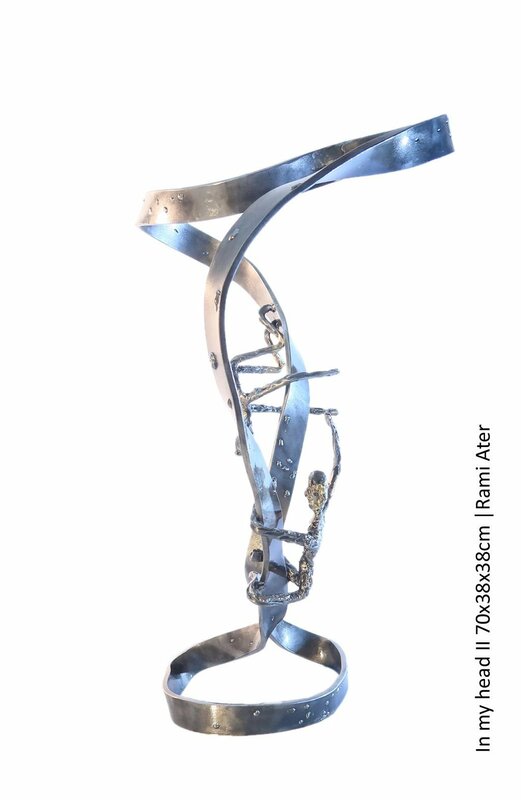 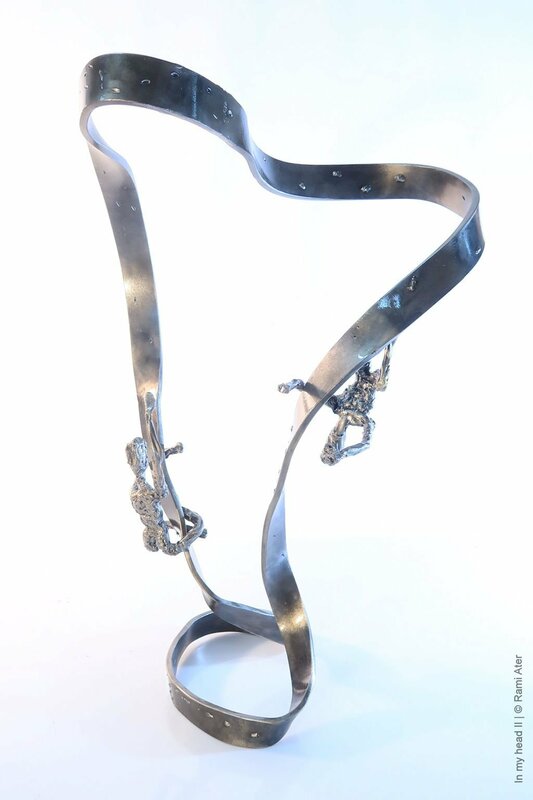 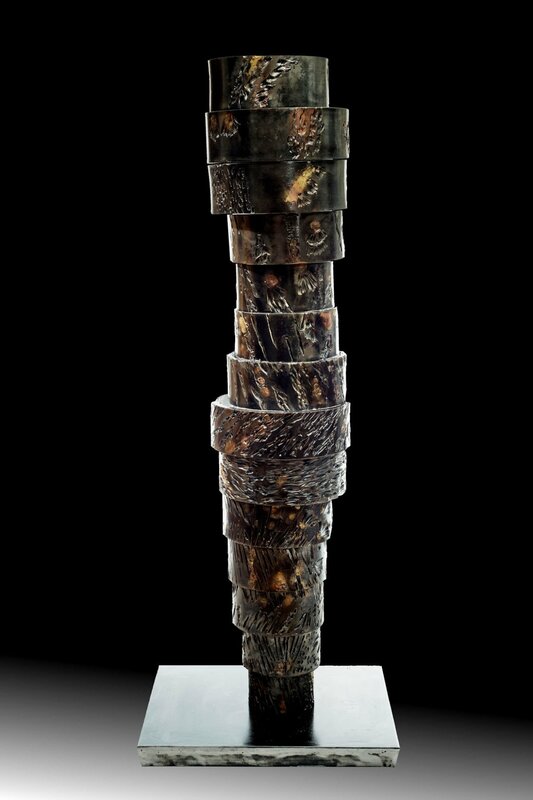 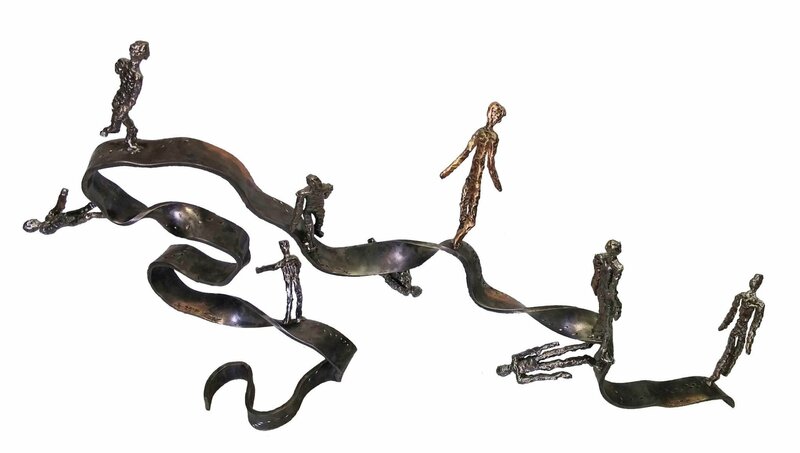 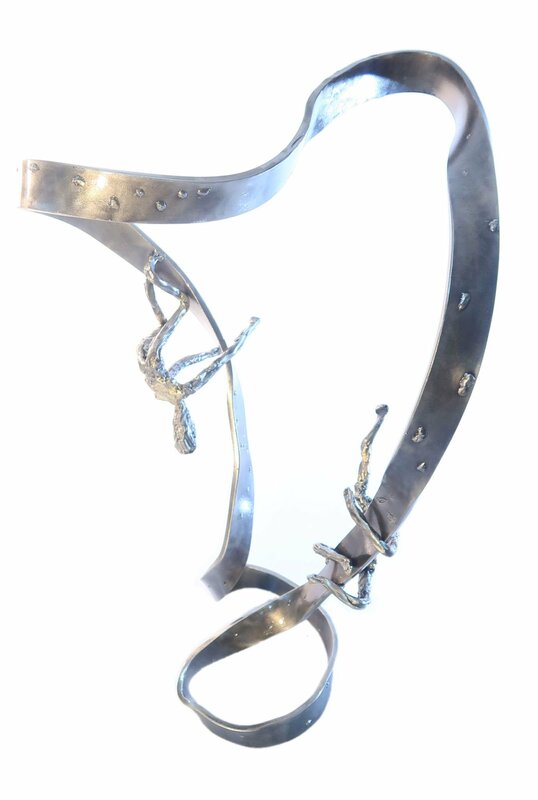 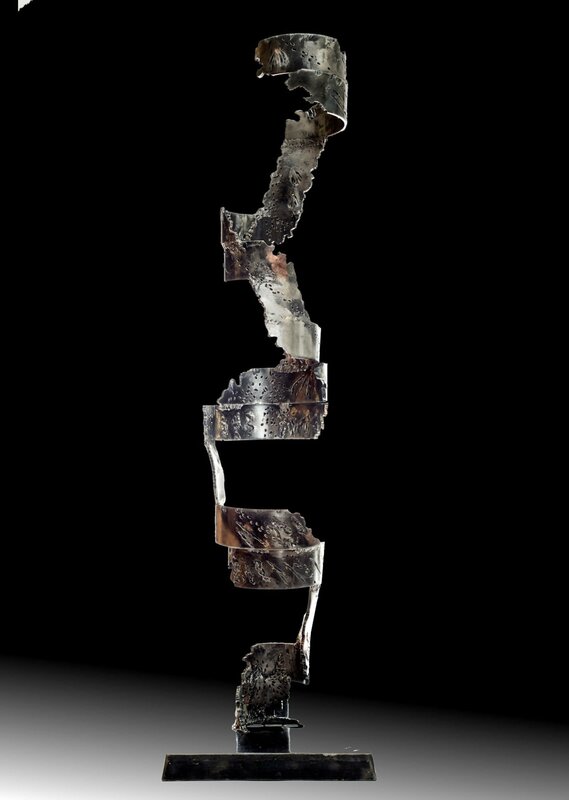 "Rami Ater has created a series of iron sculptures with an upward motion, lending a mythical interpretation to infinity. 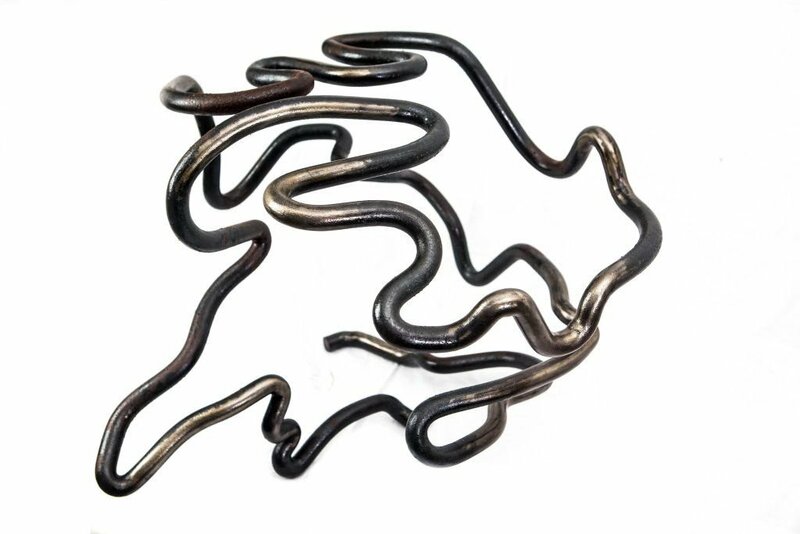 Choosing iron, which is a hard material that comes from the soil. 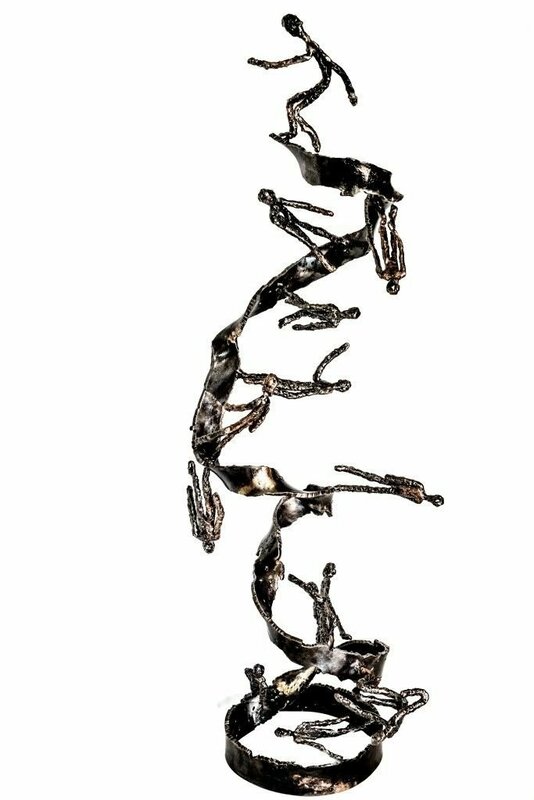 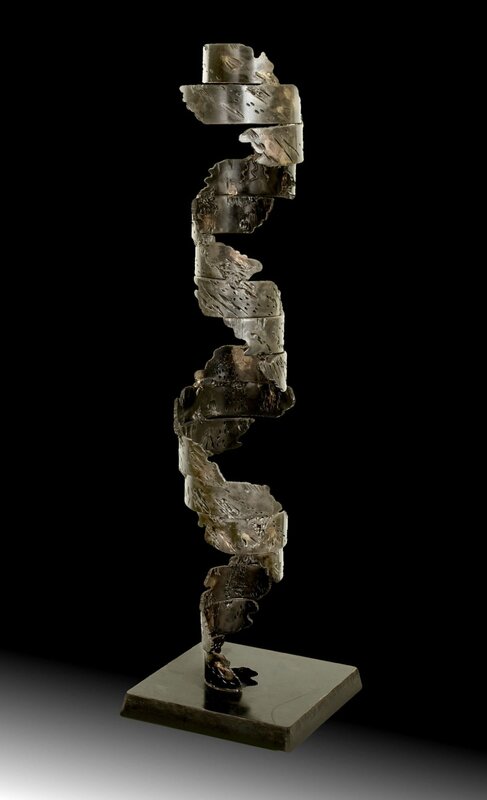 Ater creates a fascinating tapestry of tower-like models, inviting the observers to dive and soar along the their lines into the depth of the psyche and up to the non-existent." 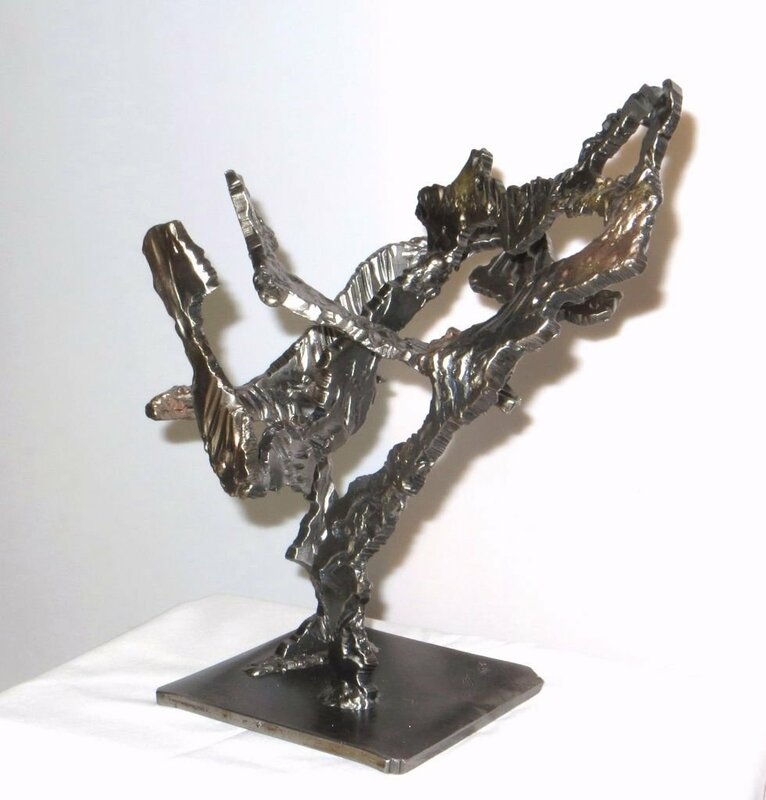 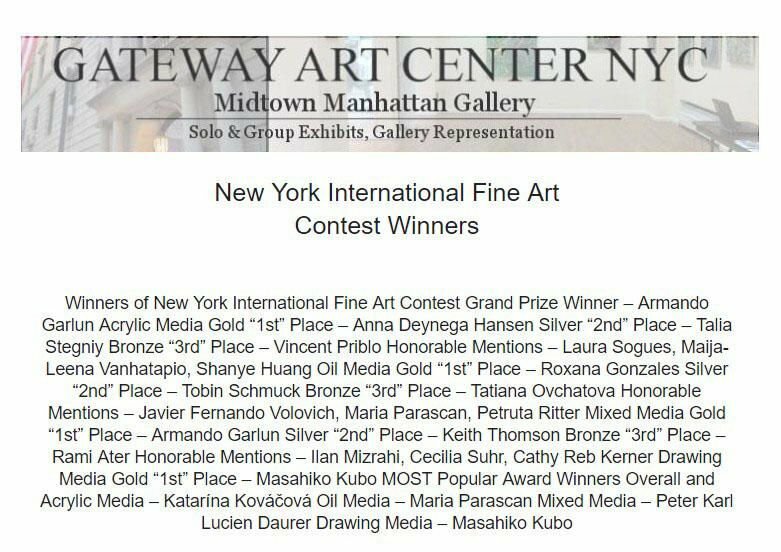 Some of the sculptures are available for purchasing. 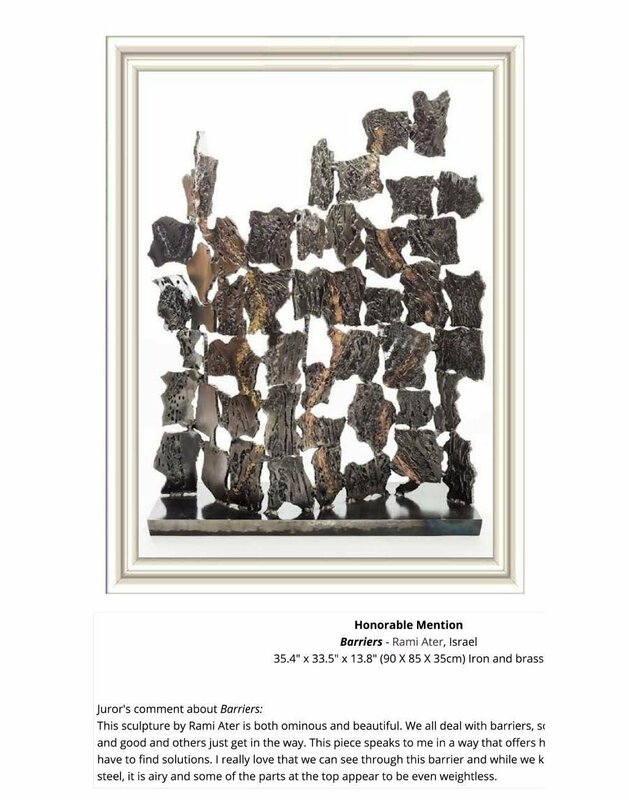 Please fill the form and I will reply as soon as possible.